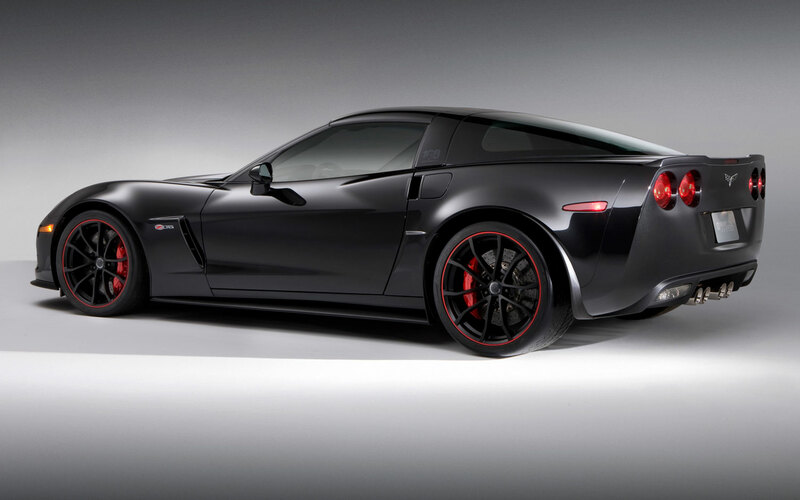 Chevrolet knows damn well how to build a sports car. 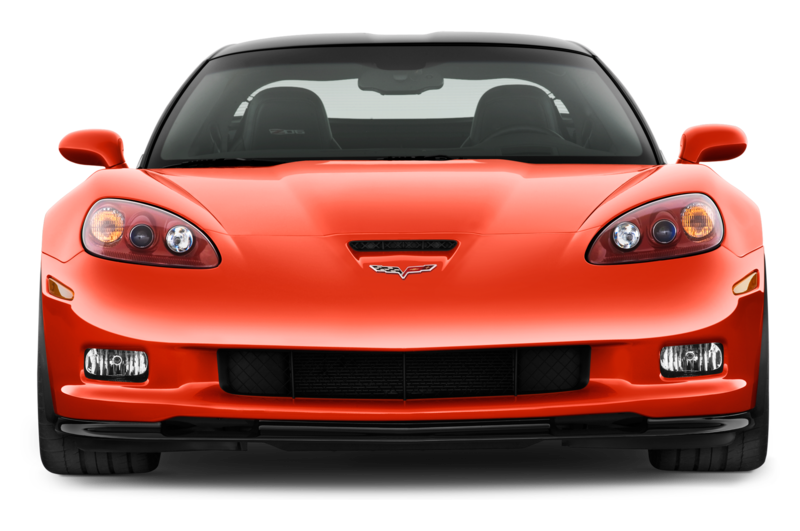 Evidence: the Corvette. 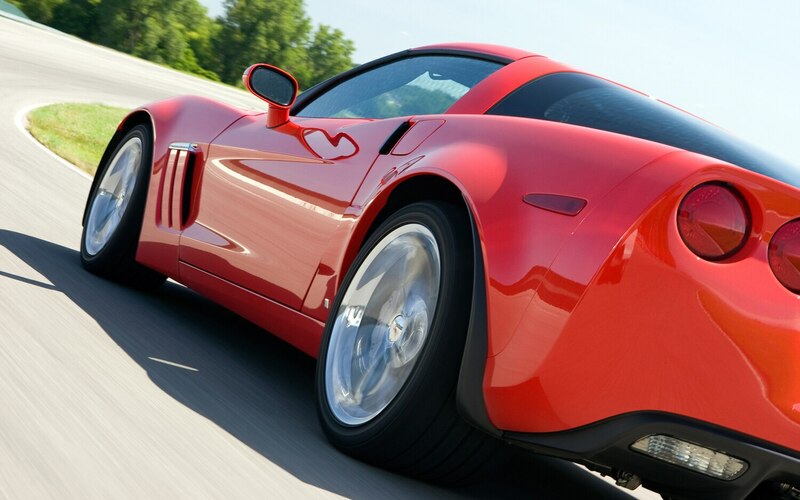 Ever since the mid-1950s, it has defined the very idea of what an American sports car is. 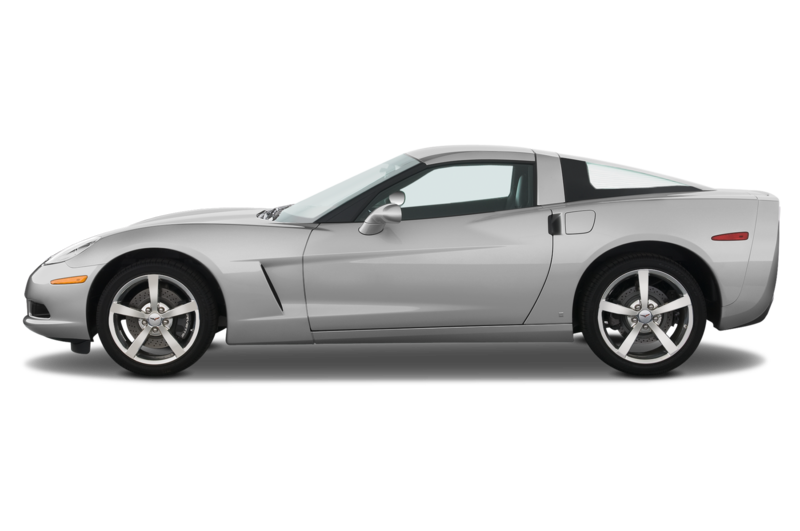 Attempts to create a second Chevrolet sports car, however, have been met with less success. 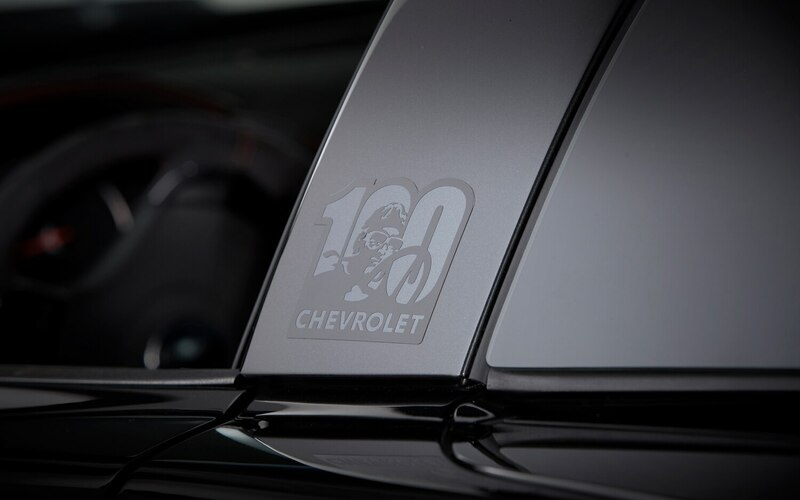 Excepting the Chevelle SS and a handful of Camaros — and maybe the Corvair Monza if we’re being generous — it’s been rare to find a performance Chevy as inspired as the Corvette. 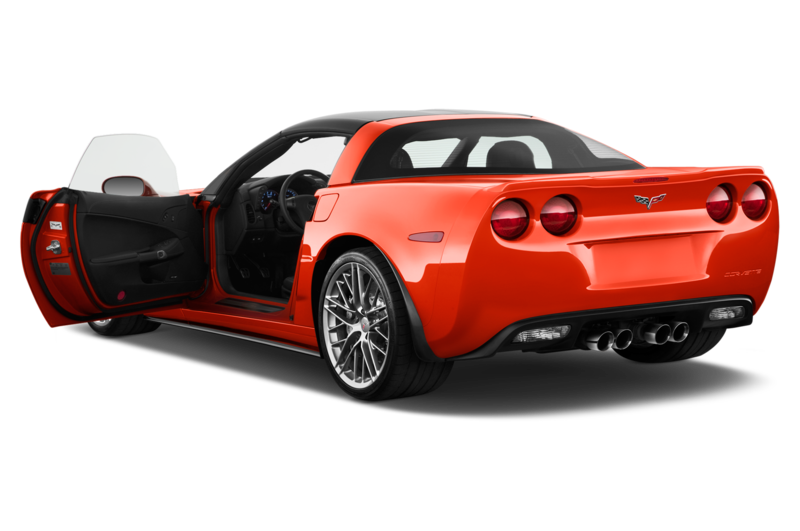 The 2010 revival of the Camaro raised our hopes, until its sloppy handling and performance-numbing obesity torpedoed our expectations. 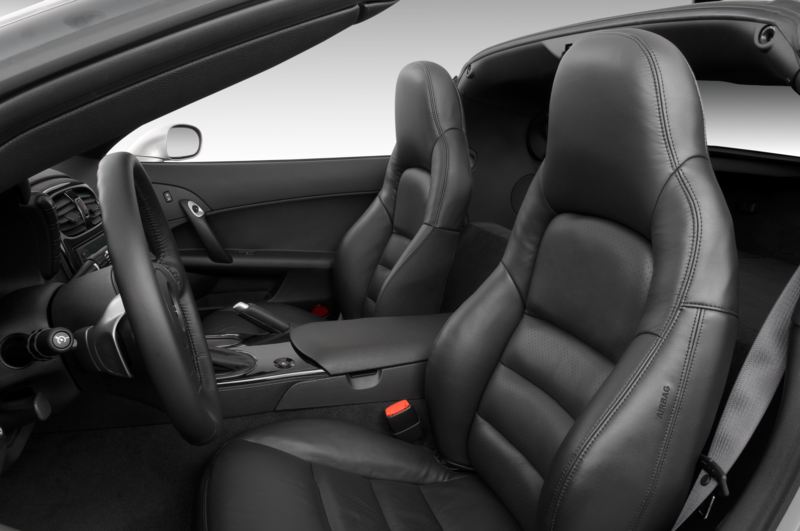 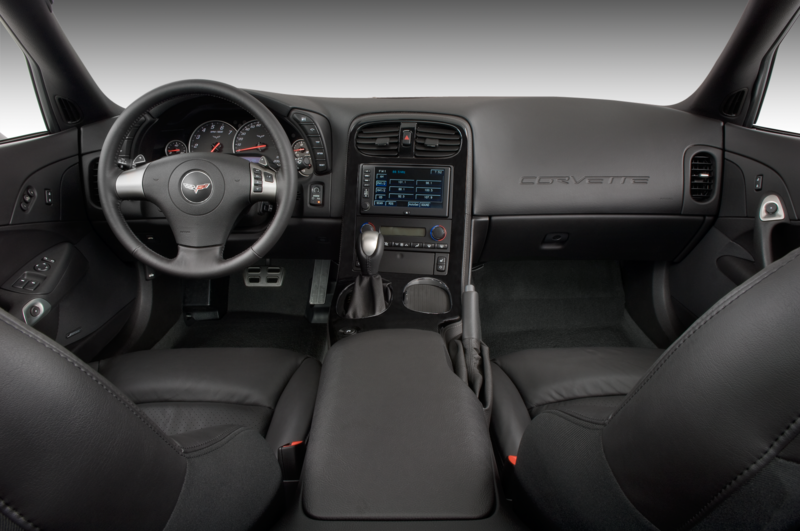 The 2012 Camaro ZL1 changes all of that with huge power, sophisticated technology, and exceptional handling. 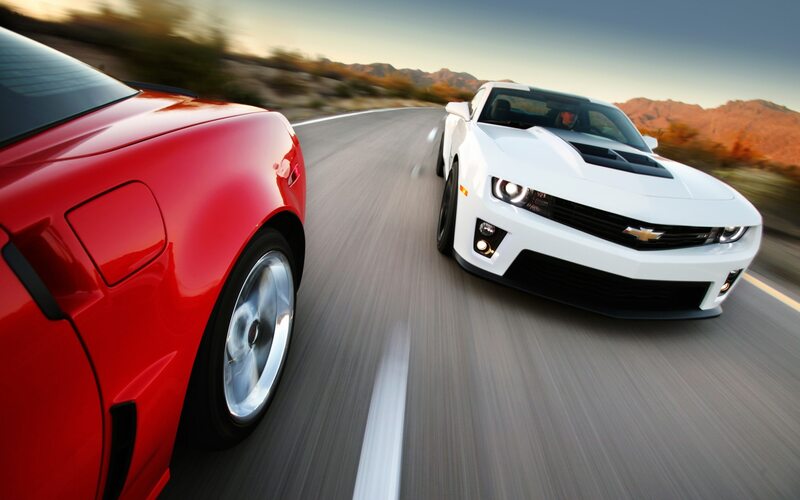 As the Camaro to redeem all other Camaros and a car that can run against Chevy’s icon, the ZL1 sets the stage for the most dramatic sibling smackdown since my sister dropped a log on my four-year-old head. 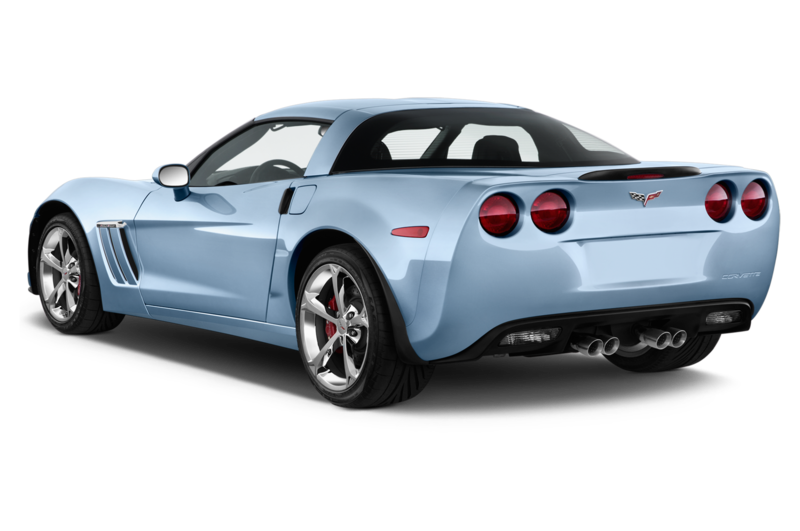 The Chevrolet marketing folks are adamant that no one will cross-shop a Corvette and a Camaro, and that may be true. 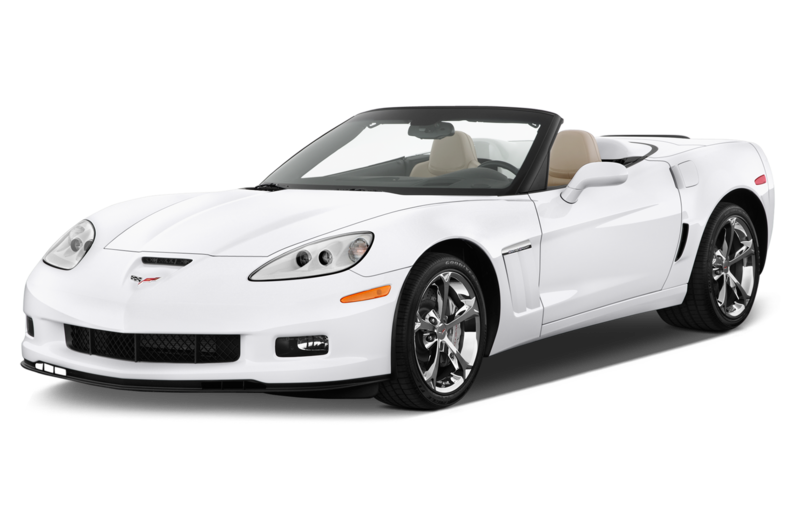 Problem is, someone dropped a log on my head as a child, so I can’t help but draw imaginary parallels between two bow-tie sports cars with mid-$50,000 prices and four-second 0-to-60-mph times. 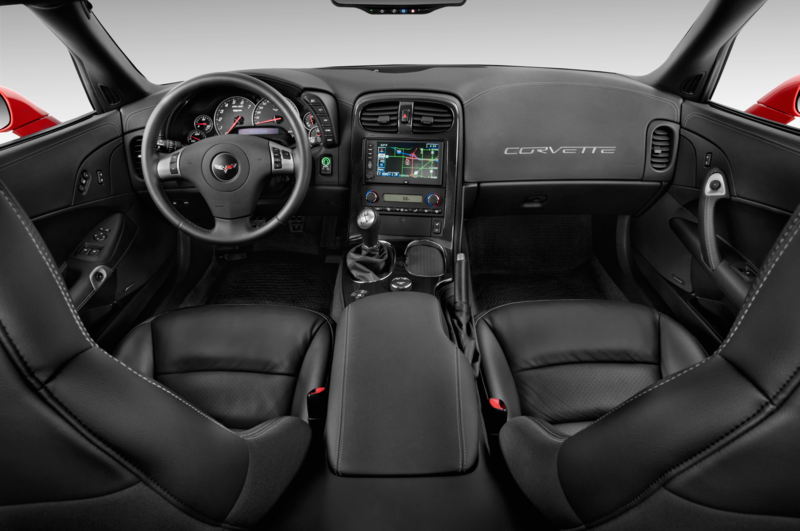 When Chevrolet invited us to drive the Camaro ZL1 for the first time, we showed up with a pair of driving shoes, our Vbox test equipment, and a Corvette Grand Sport. 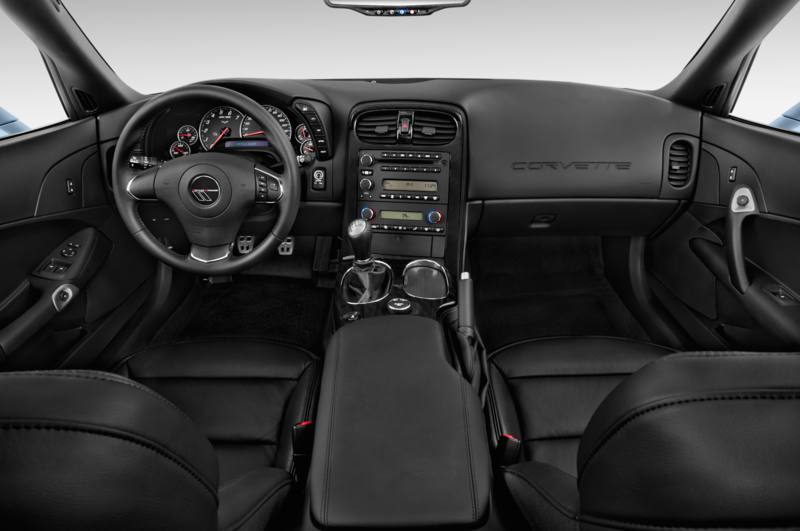 The ZL1’s tortured gestation began in August 2006, just seven months after the reincarnated Camaro concept wowed the Detroit auto show. 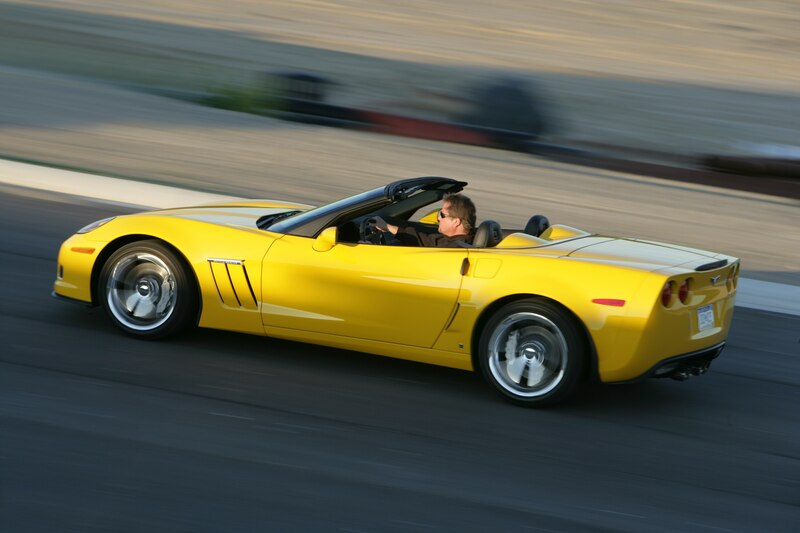 As engineers and designers hurried toward a 2009 production start, director of high-performance vehicle operations John Heinricy and engineering manager Tony Roma flew to Australia to verify that the Camaro’s platform could accommodate a high-performance variant. 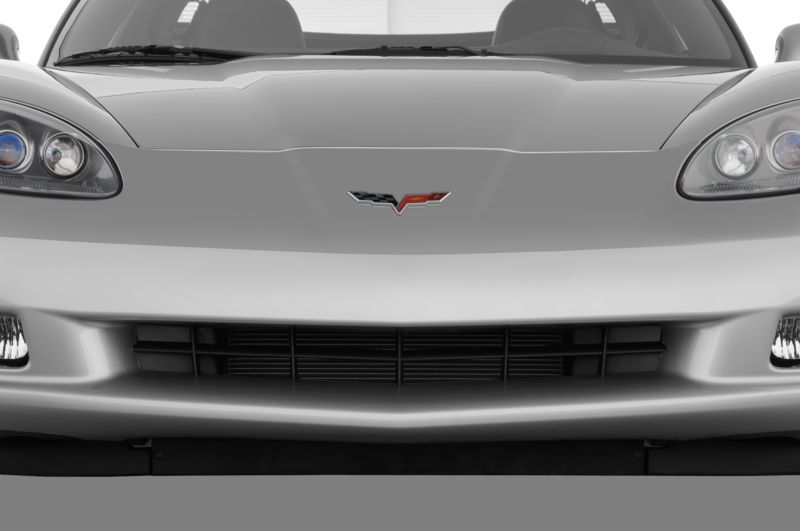 The Zeta architecture could support a ZL1. 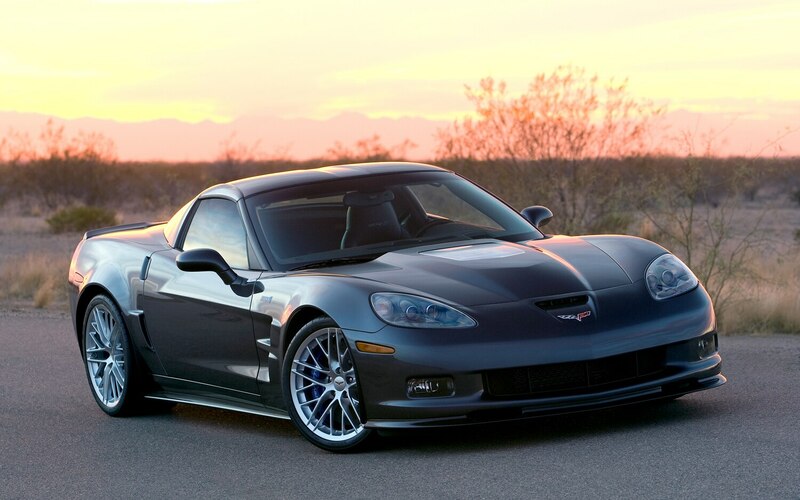 The threat of bankruptcy three years later could not. 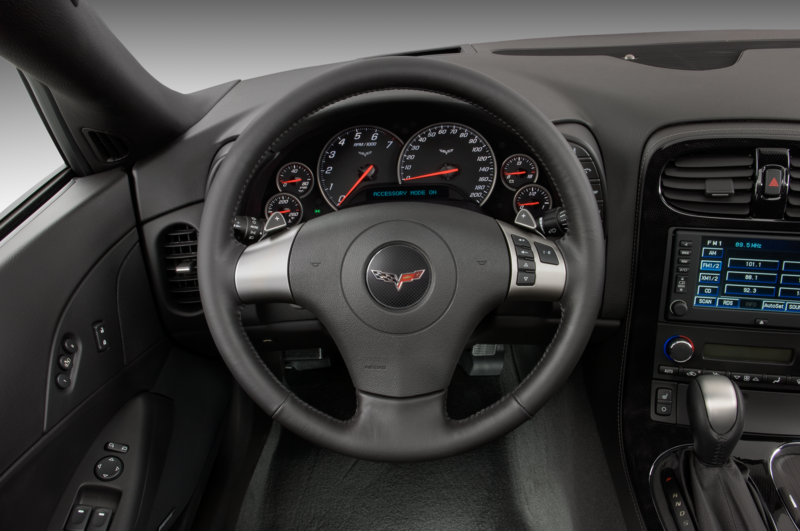 Even before General Motors filed for Chapter 11 reorganization on June 1, 2009, work had stopped on the ultimate Camaro. 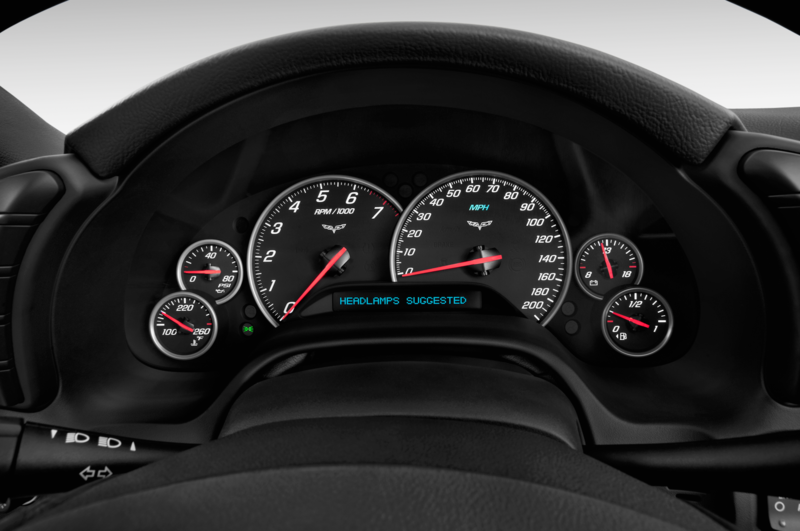 Looming financial doom led executives to declare a long-term delay for the project. 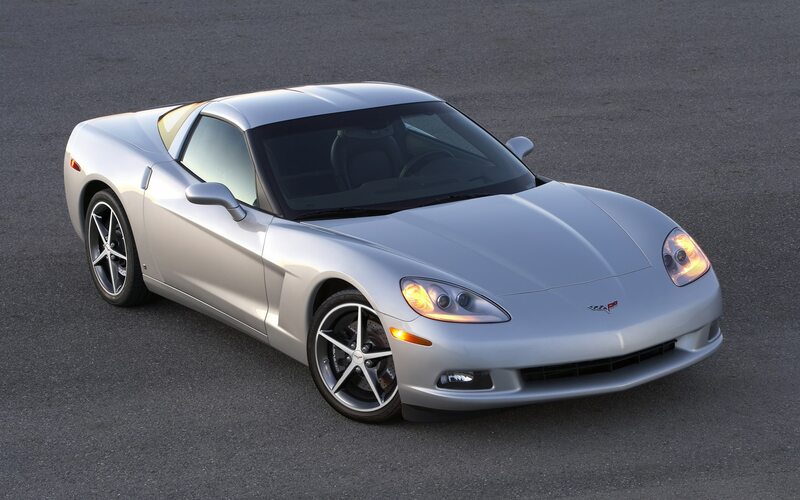 GM rank-and-file know what “long-term delay” means: canceled. 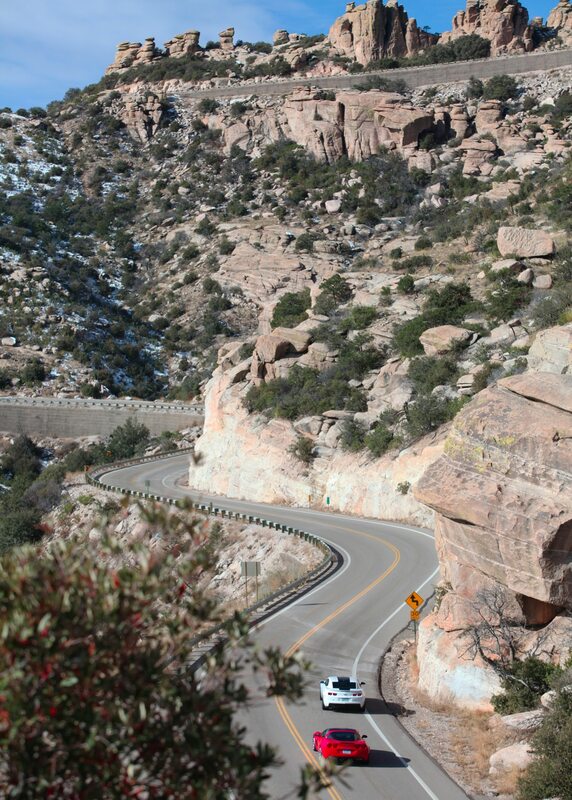 You can thank your well-spent tax dollars that you’re reading this story. 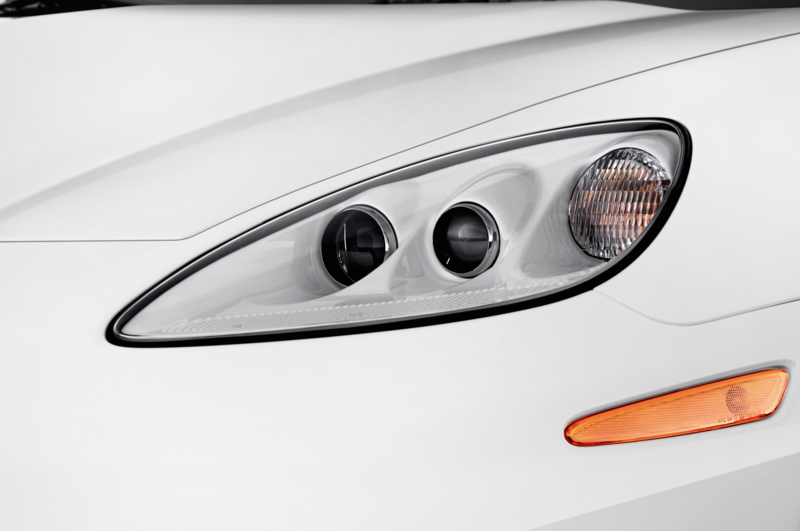 Just days after the taxpayer-funded restructuring was approved, Tom Stephens, then head of global product development, called chief engineer Al Oppenheiser and reactivated the program. 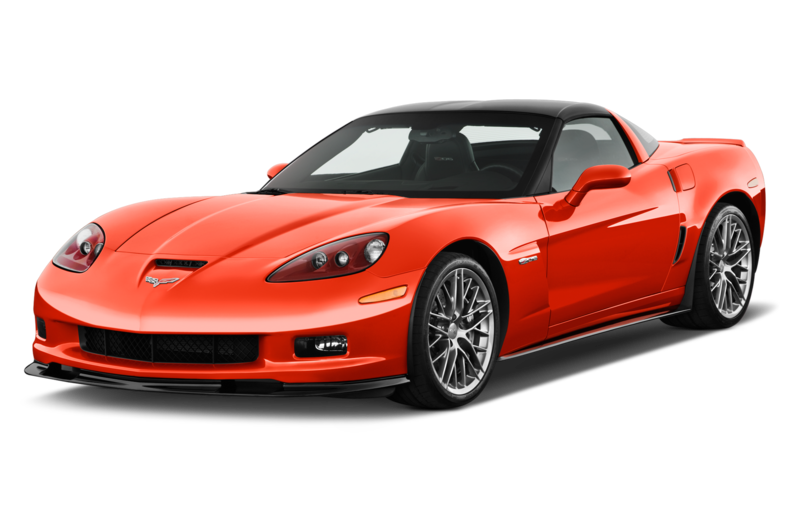 The ZL1 was alive, but the political sensitivity of the $50 billion bailout meant that its existence would remain hidden. 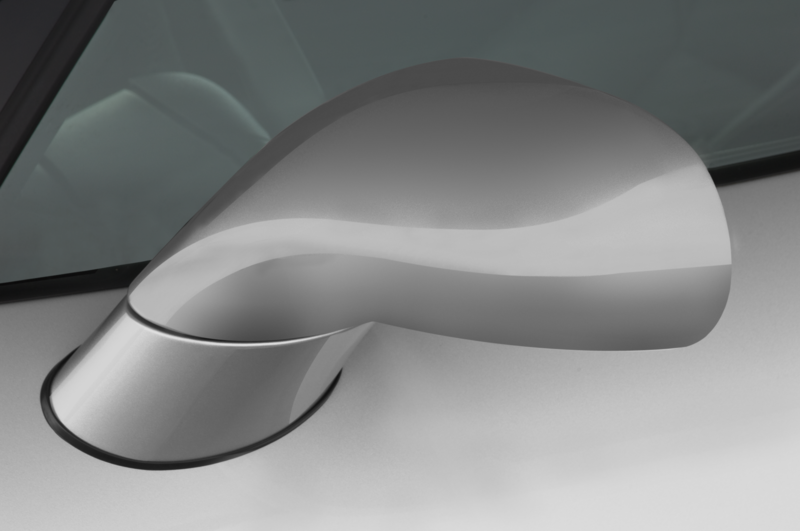 The staff was kept small. 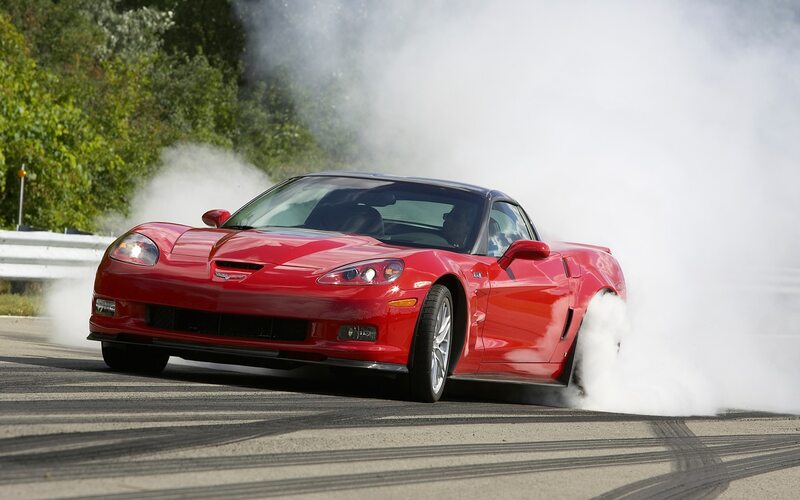 Face-to-face meetings replaced e-mails. 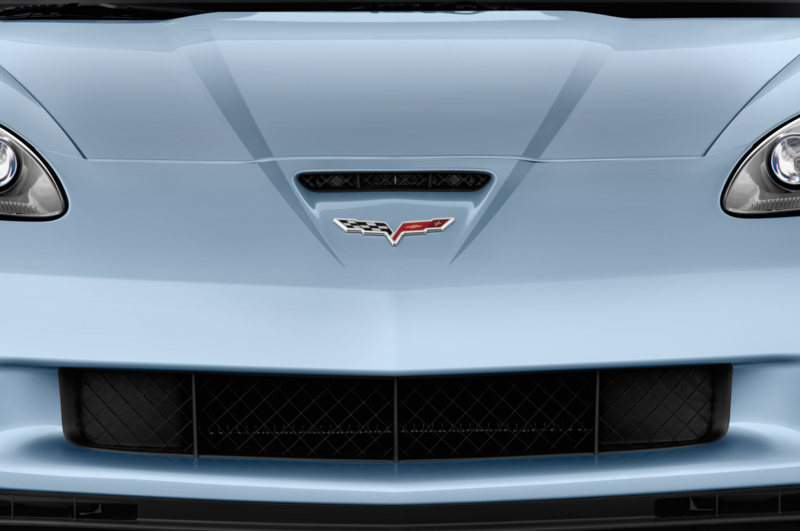 Not even then-CEO Fritz Henderson was told that his employees were working on what would become the Camaro ZL1. 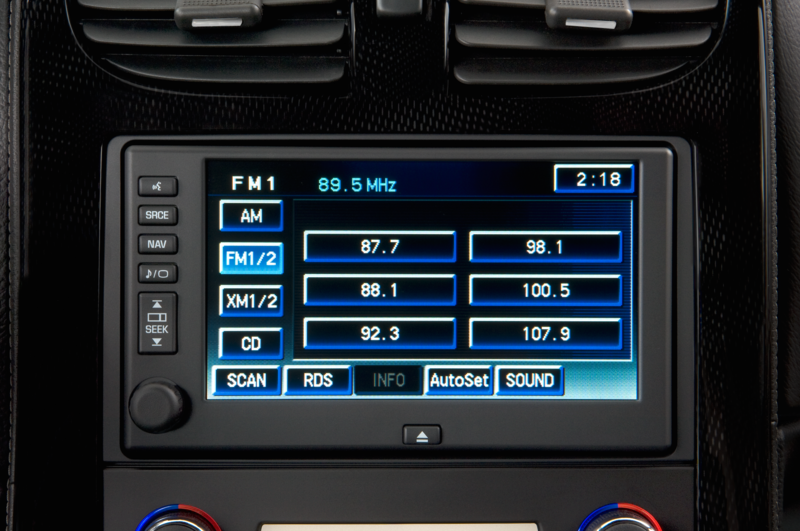 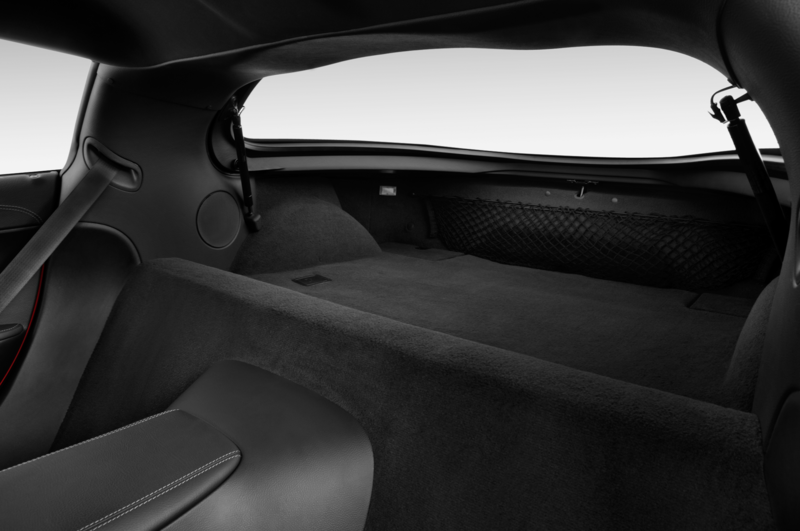 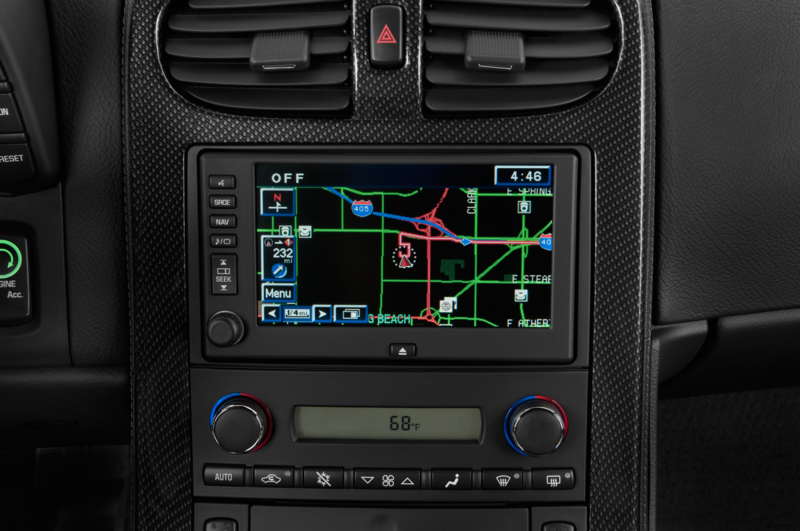 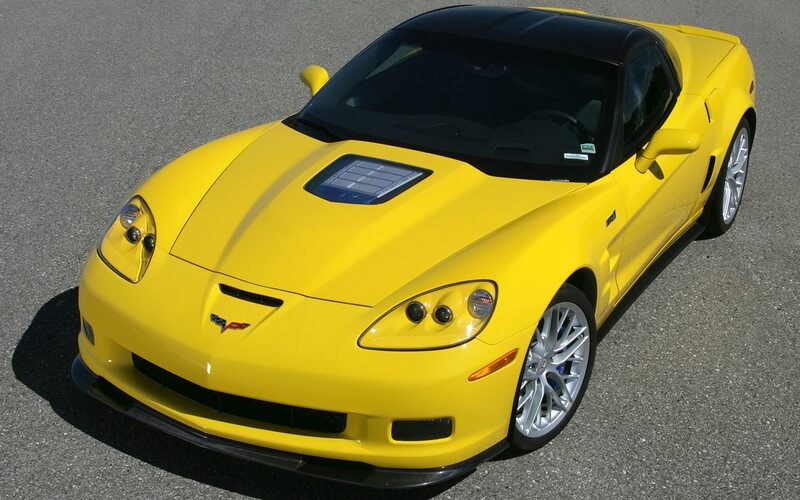 The board of directors officially approved the project in early 2010; no one flinched when product development promised a ZL1 in less than two years. 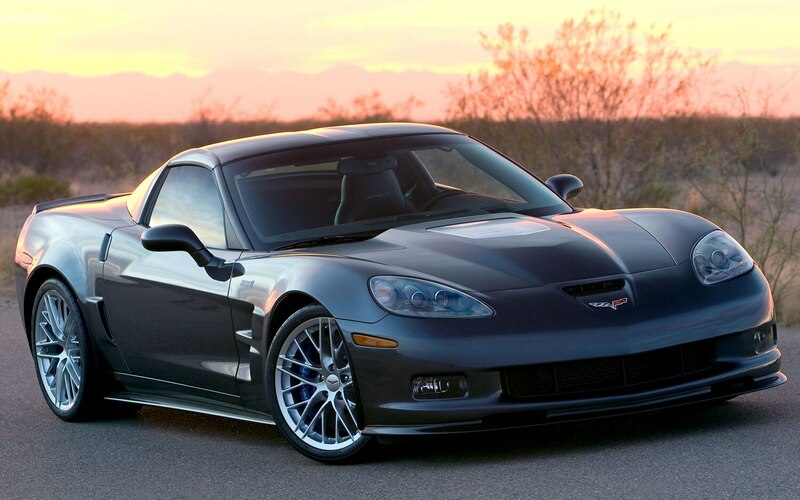 About fifty engineers — many with experience on the Corvette and the Cadillac CTS-V and at the defunct GM Performance Division — redesigned roughly a third of the Camaro SS’s parts to create the ZL1. 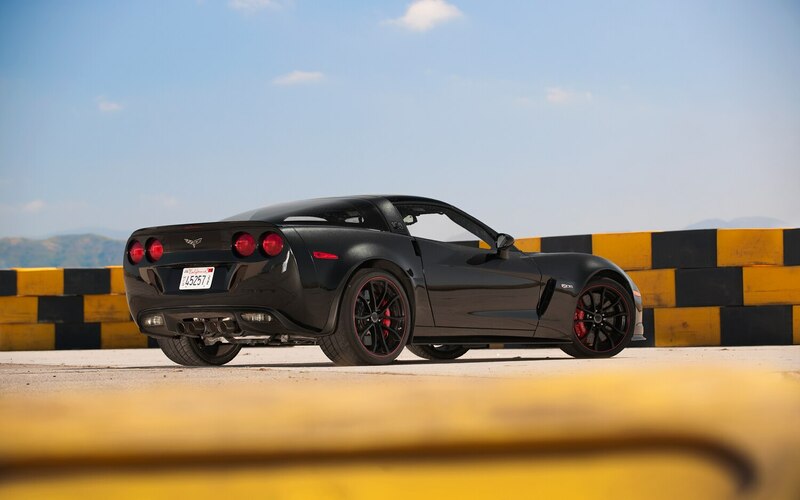 By the spec sheet alone, the result of their efforts reads much like a CTS-V: 6.2-liter supercharged LSA V-8, magnetorheological dampers, limited-slip differential, and a tad too much weight. 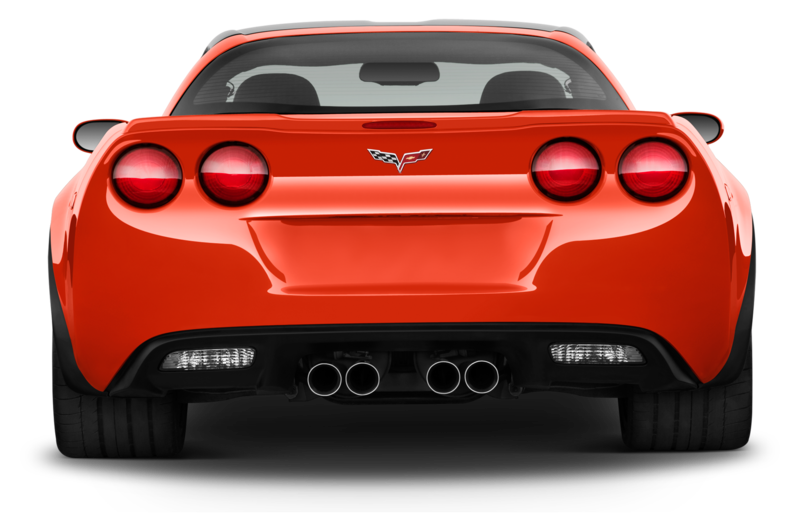 But with the Camaro, engineers sacrificed some of the Cadillac’s civility to place greater emphasis on tuning the ZL1 for days at the track and nights at the drag strip. 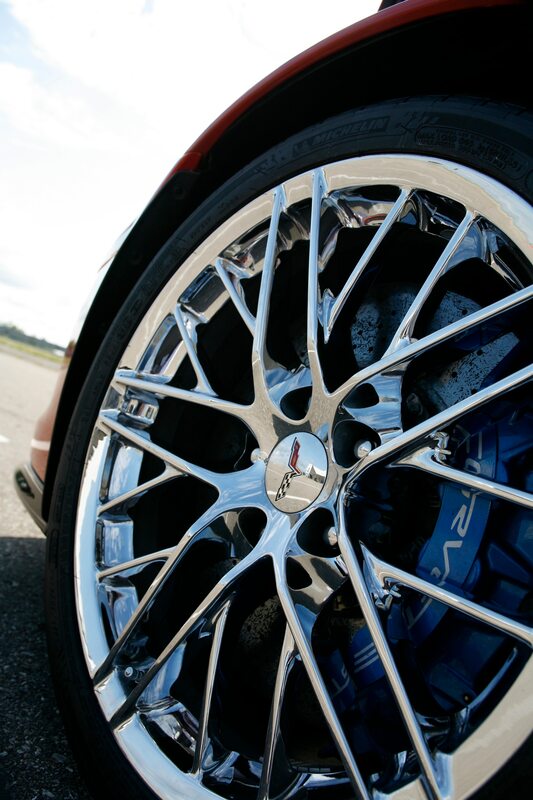 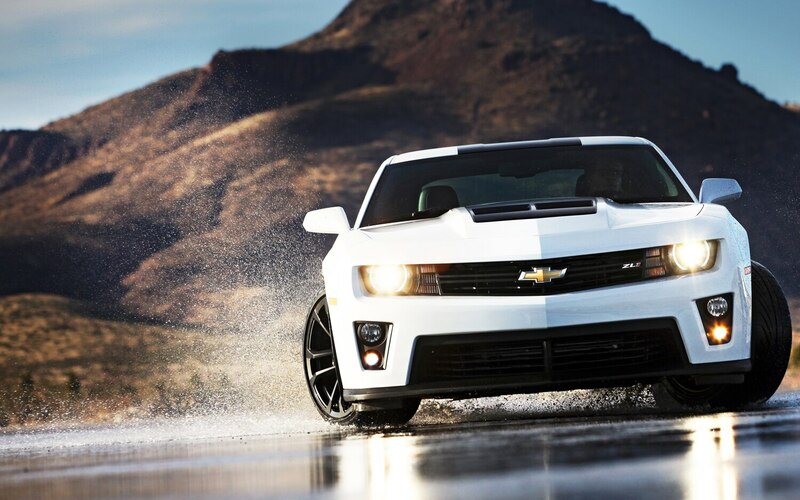 During development, one ZL1 endured 600 clutch-dumping launches as part of the most demanding driveline durability testing program in the history of General Motors. 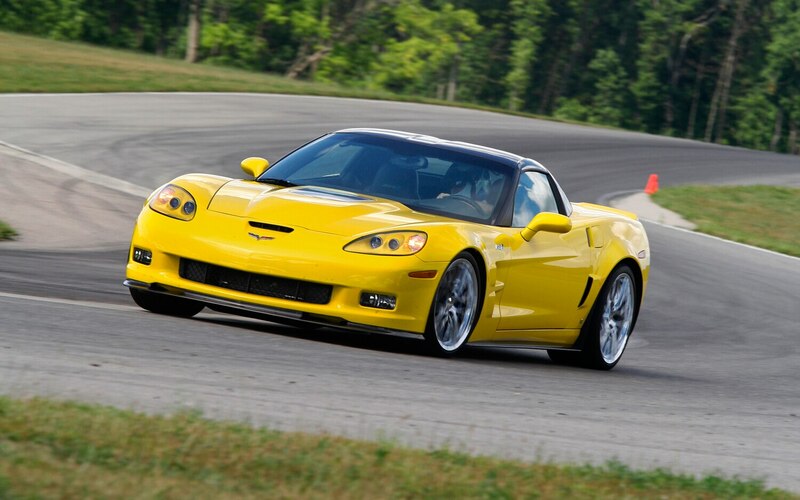 For road courses, engineers borrowed the Performance Traction Management system — the most sophisticated, most unobtrusive electronics package this side of a Ferrari — that’s available on the Corvette Z06 and ZR1. 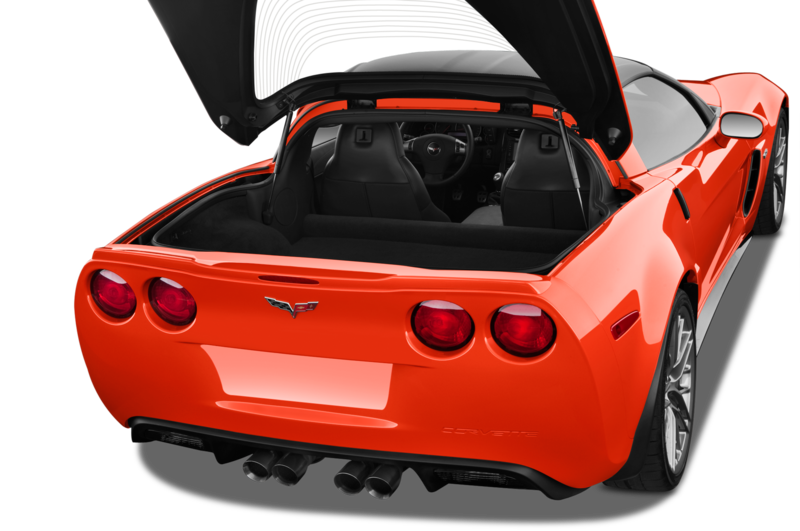 Details like a differential cooler and brake-cooling ducts enable heat-sensitive components to stand up to extended abuse. 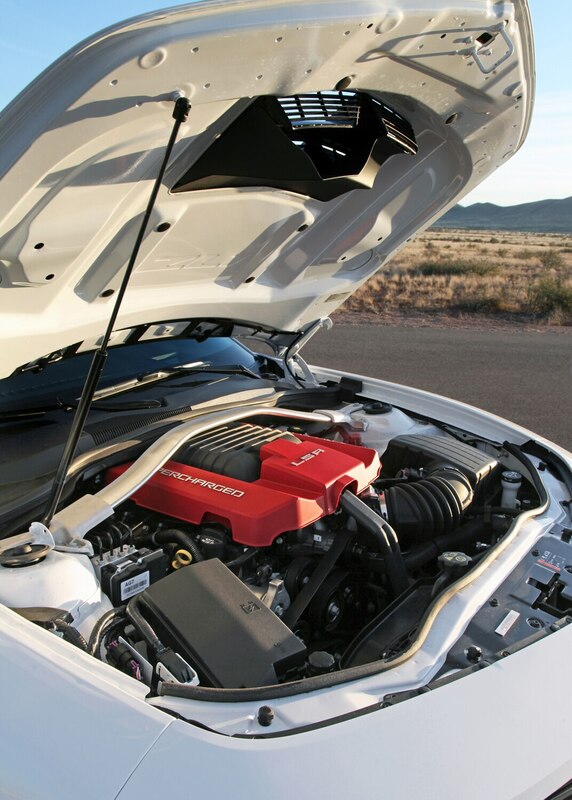 The supercharger is still a four-lobe, Roots-type unit compressing the intake charge to a peak pressure of 9 psi, but thanks to a revised induction system, the ZL1’s blown small-block sends an extra 24 hp and 5 lb-ft of torque to the rear wheels compared with the CTS-V for a total output of 580 hp and 556 lb-ft. As in the V, buyers can choose a six-speed manual transmission or a six-speed automatic with performance-minded logic and marginally quicker acceleration times. 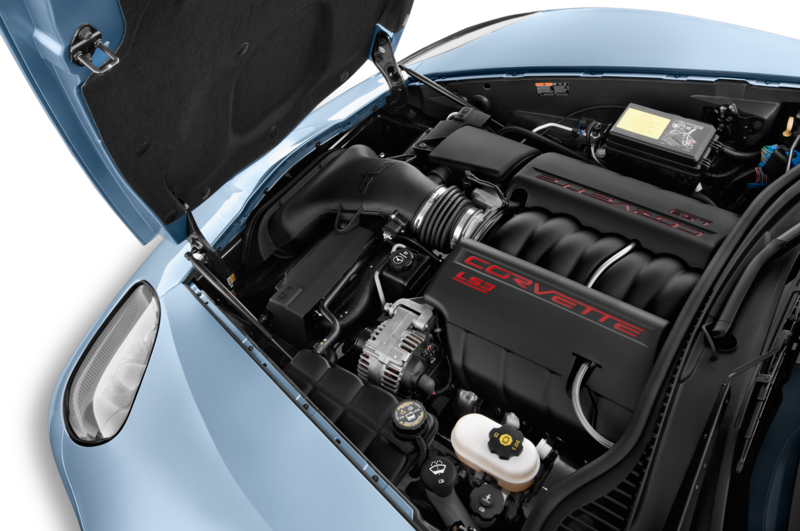 The water pump for the supercharger’s air-to-liquid intercooler is plucked from a less likely donor: that bastion of efficiency, the Volt. 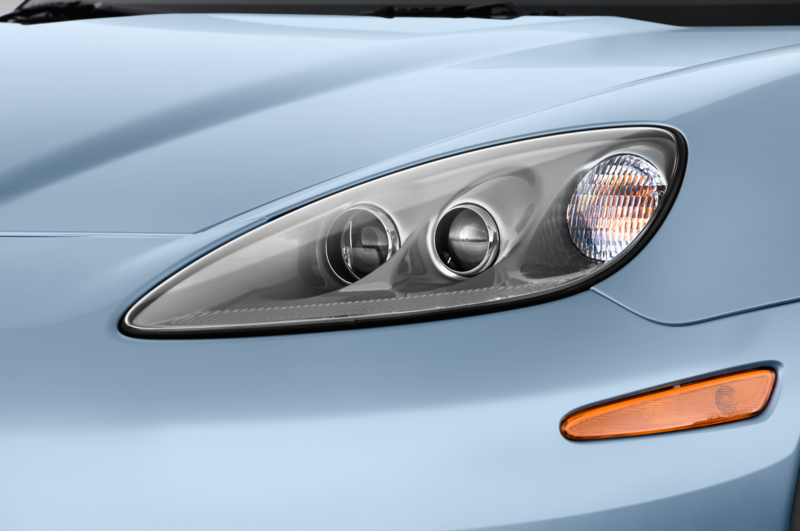 No matter how many Volts are ever sold, consider that car’s R&D cost justified. 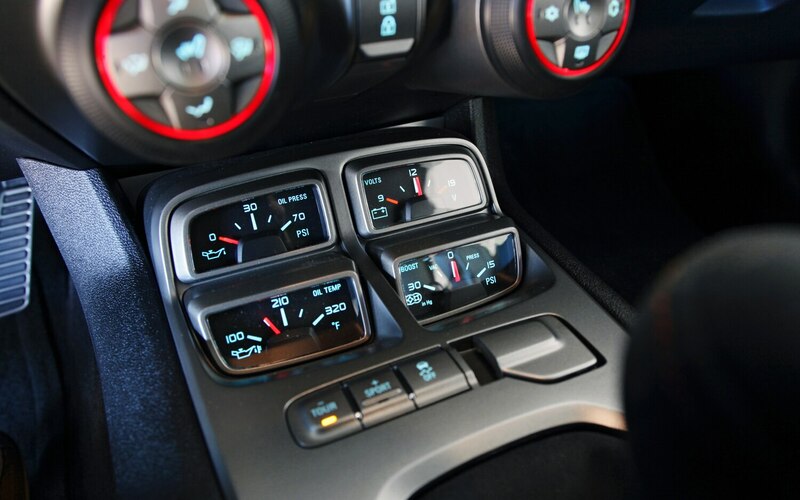 Third-generation Magnetic Ride dampers charge and discharge faster than earlier examples, allowing for more precise control of damping rates. 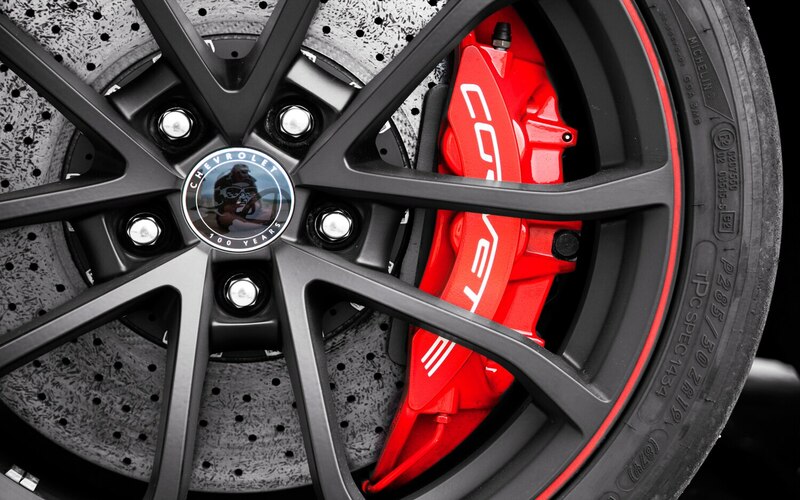 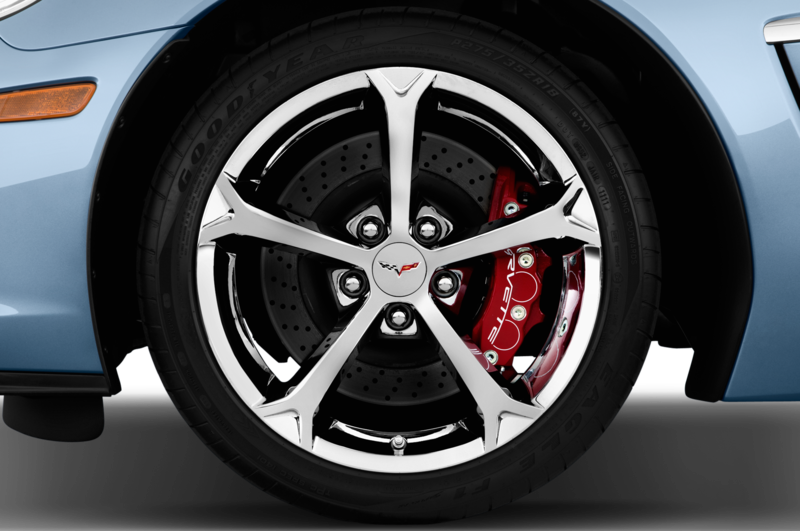 Their flexibility and bandwidth also allow the ZL1 to use the same springs as the Camaro SS. 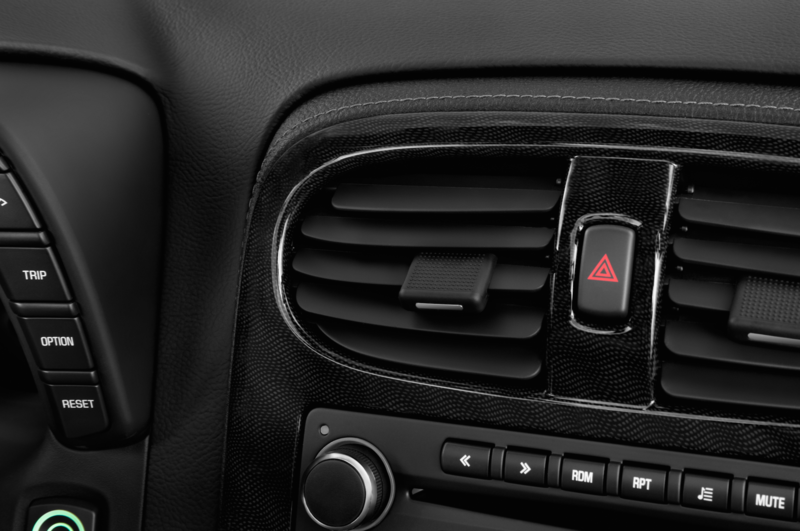 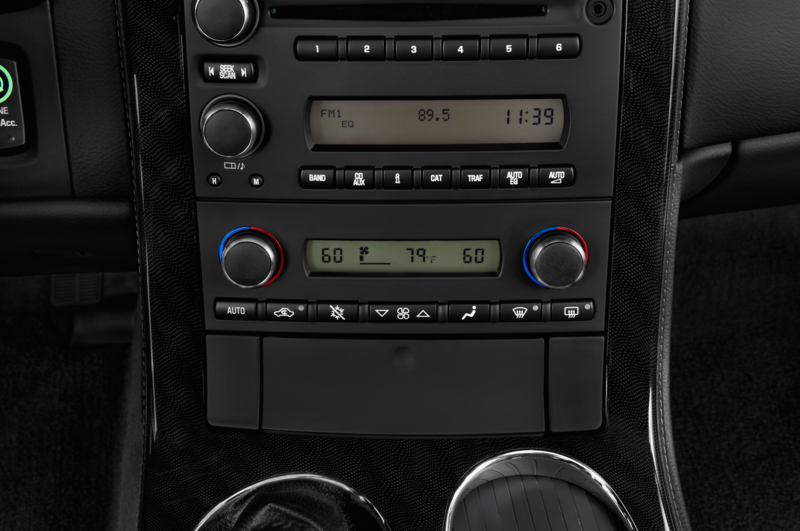 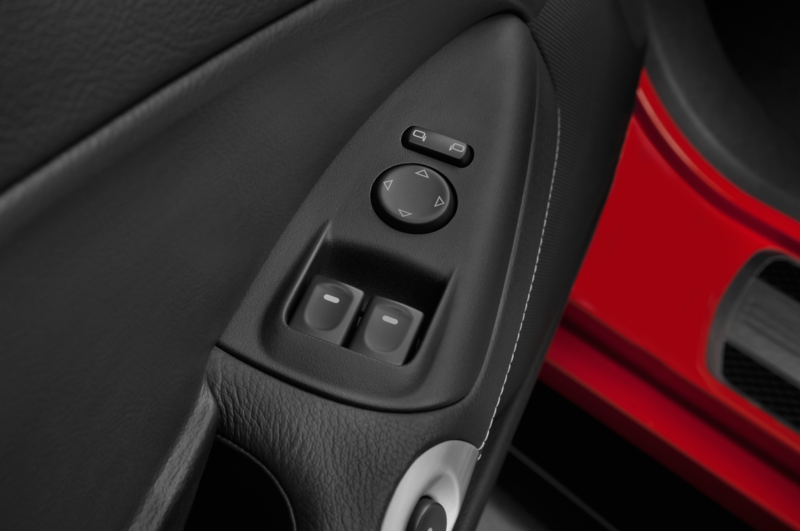 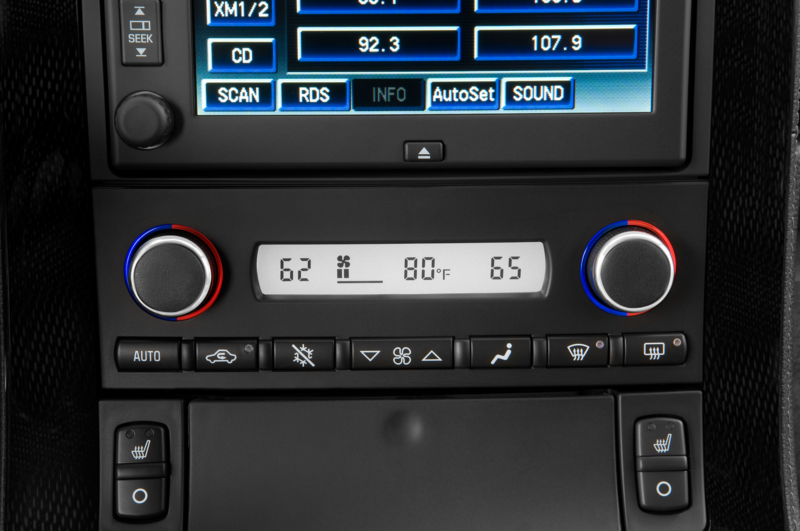 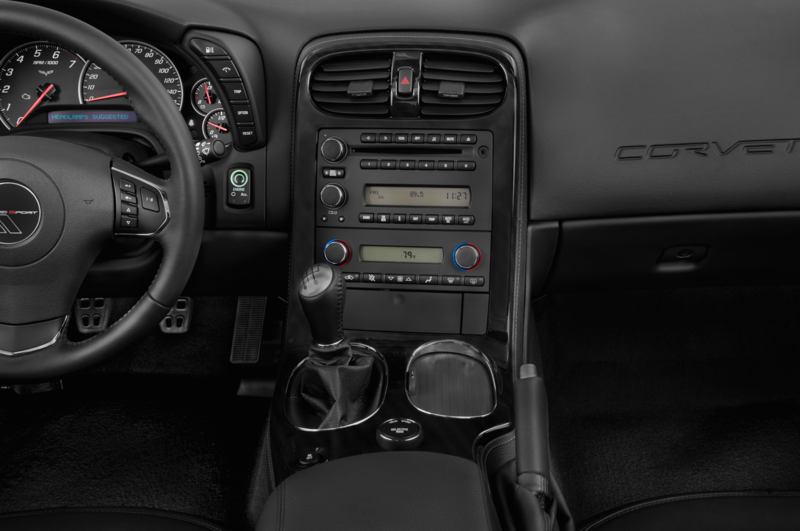 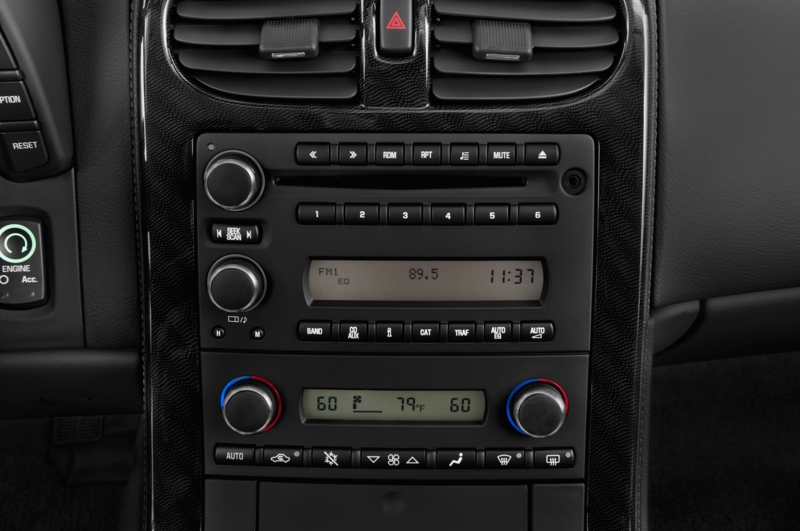 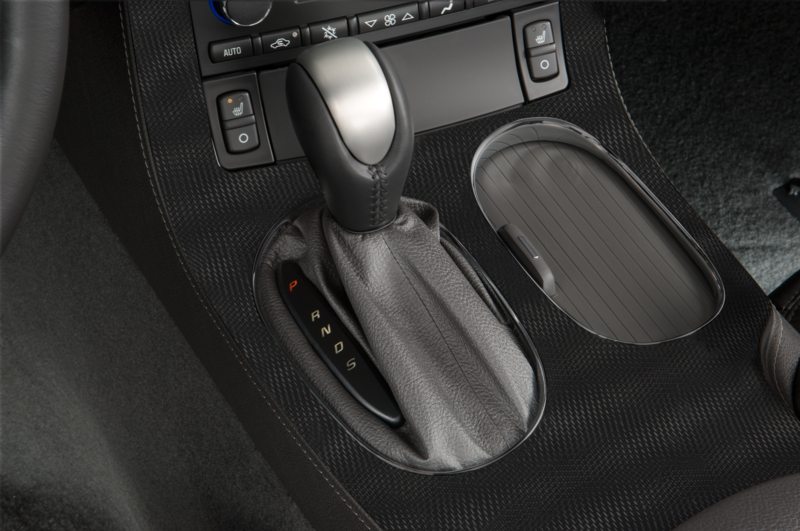 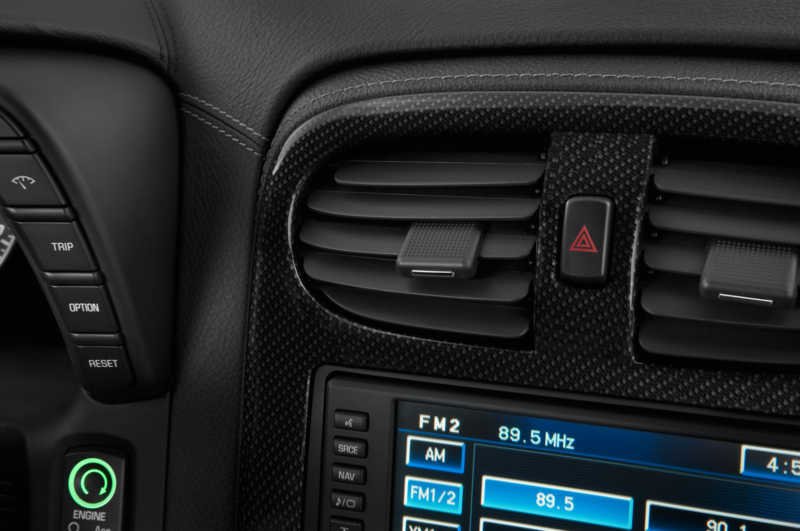 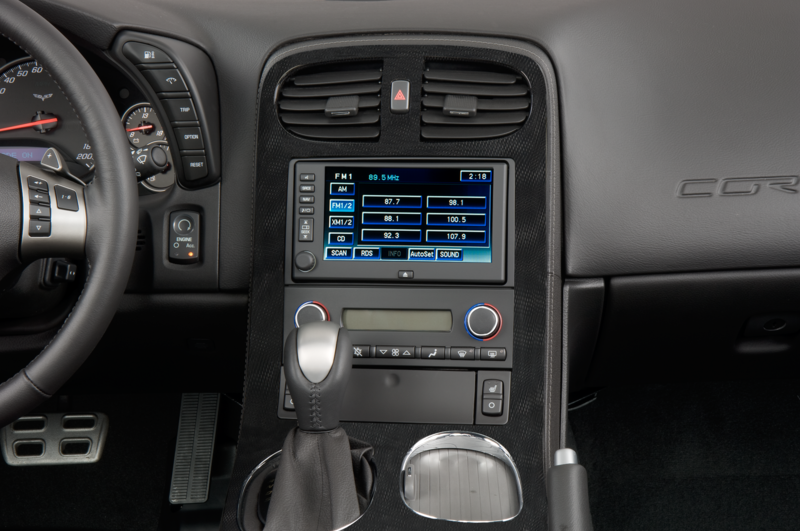 Sport and tour buttons just ahead of the shifter adjust the dampers accordingly, and a third mode — track — is available when Performance Traction Management is active. 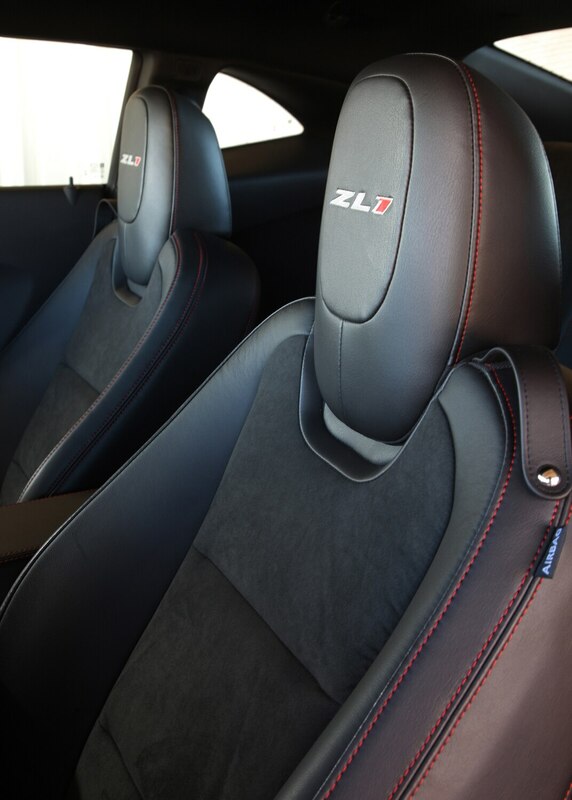 Unlike most cars, in which sport mode alters throttle calibration for quicker acceleration with less pedal travel, the ZL1 makes the throttle-pedal mapping less aggressive to allow for finer modulation. 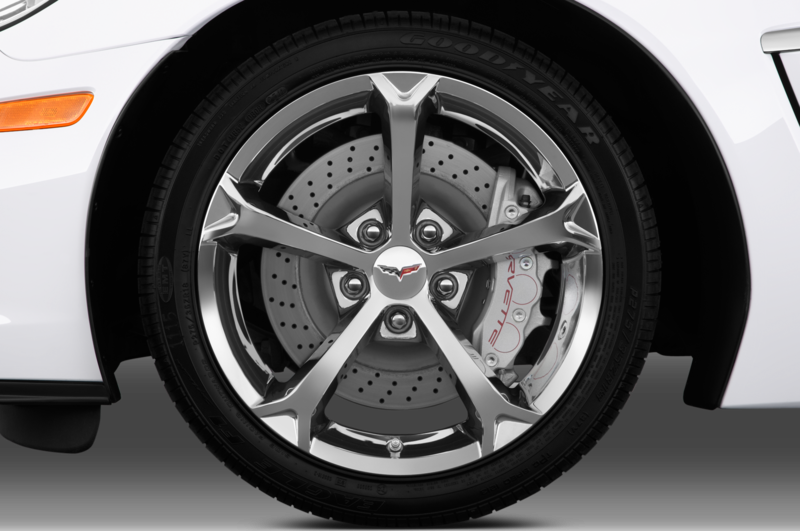 The five-mode Performance Traction Management system influences damper tuning, steering effort, stability control, and traction management. 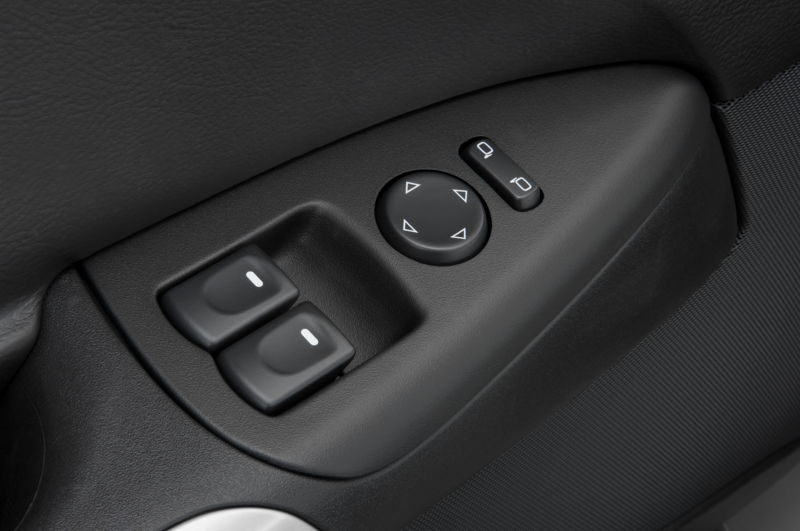 There’s a level for every driver and every condition, with stability control becoming less intrusive with each step. 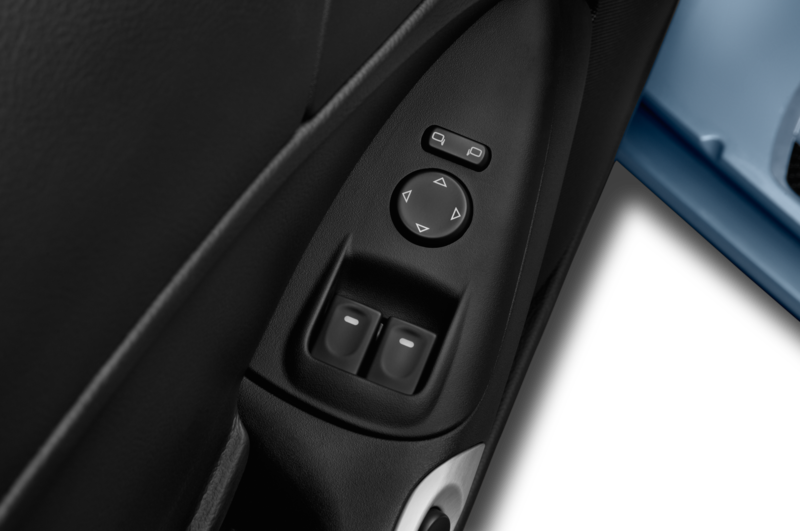 The brake-based bacon-saver is disabled beyond the third mode, but the fourth and fifth settings continue to manage traction with spark and fuel control, allowing you to get on the throttle earlier as you exit a corner. 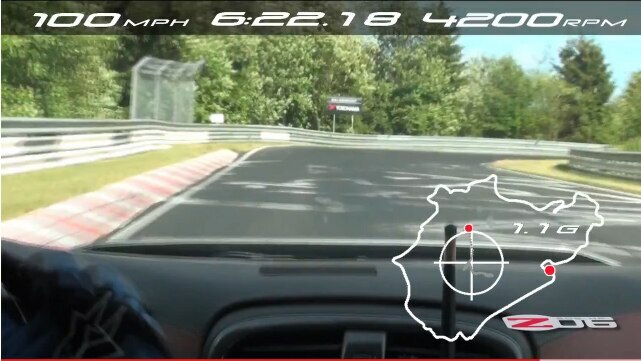 The sharp, machine-gun blats of the traction control in action evoke the sound of a Formula 1 car bouncing off its speed limiter as it bowls down pit lane. 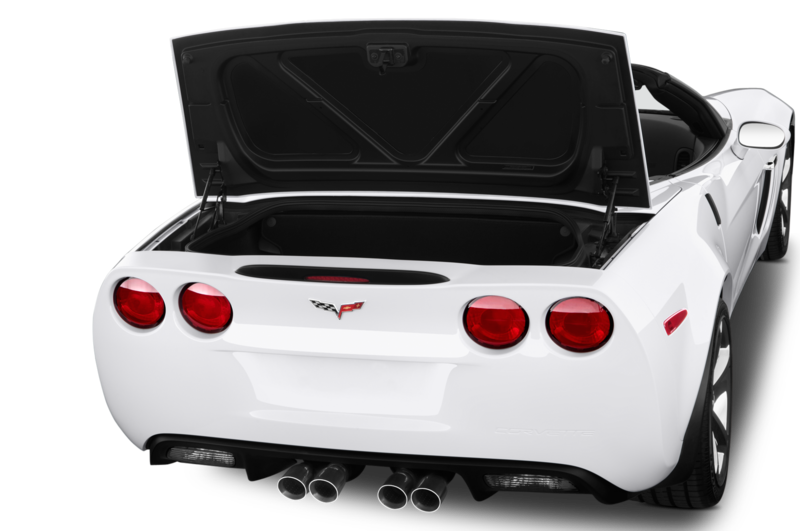 Rather than focus on reducing drag to, say, hit 200 mph, the ZL1 team aimed to maximize high-speed stability with downforce. 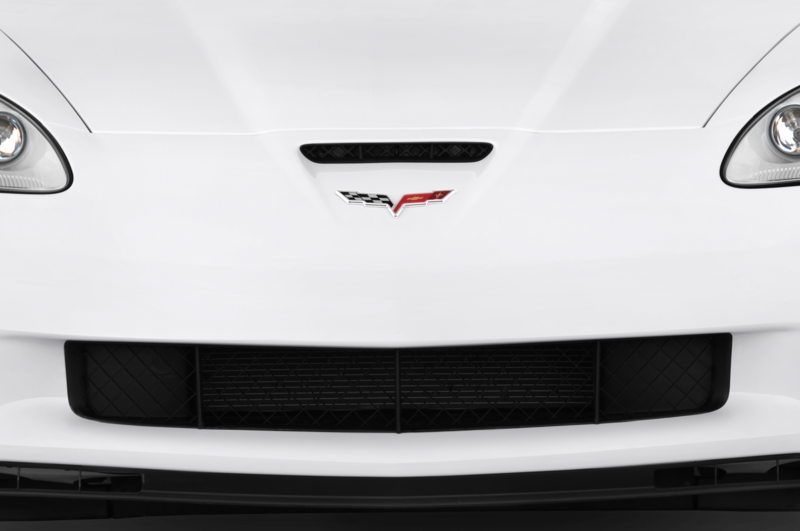 The hood extractor, front splitter, and rear spoiler create enough downforce to eliminate lift as the ZL1 nears its top speed of 184 mph. 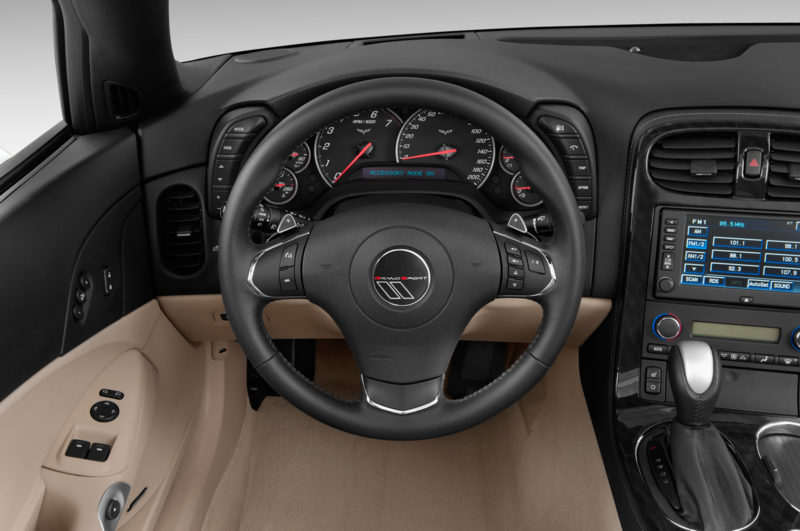 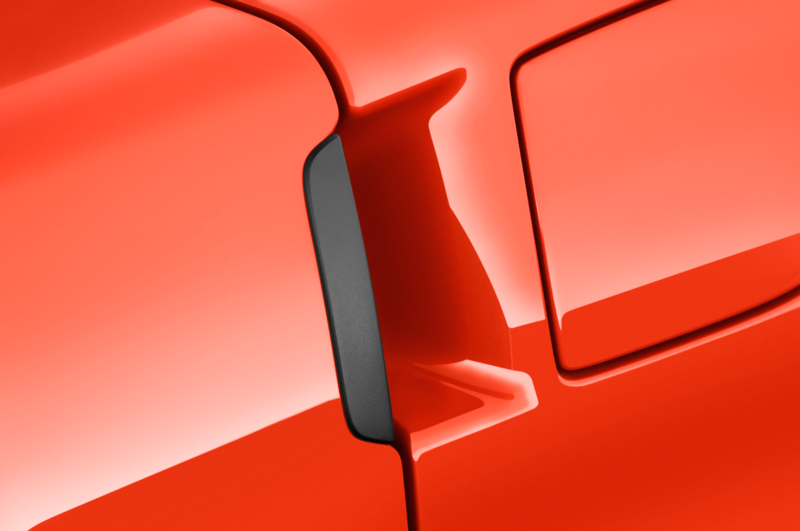 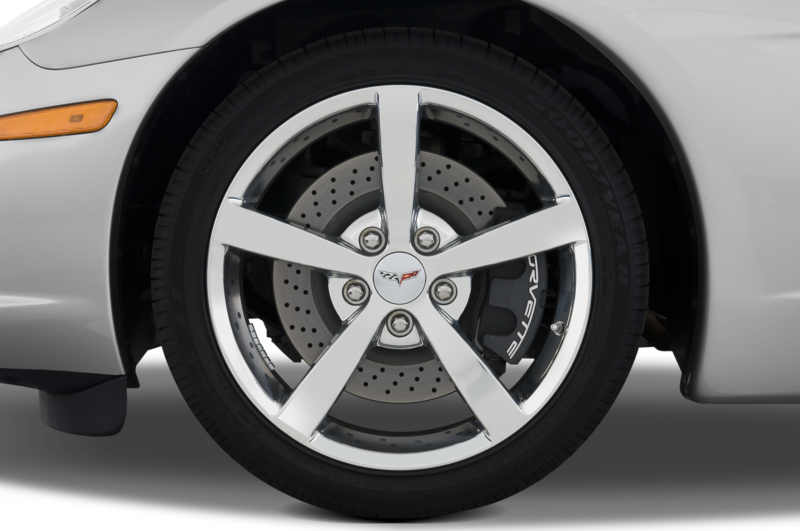 For the same reason, the standard Camaro’s hydraulic steering gives way to an electrically assisted system with infinitely tunable characteristics. 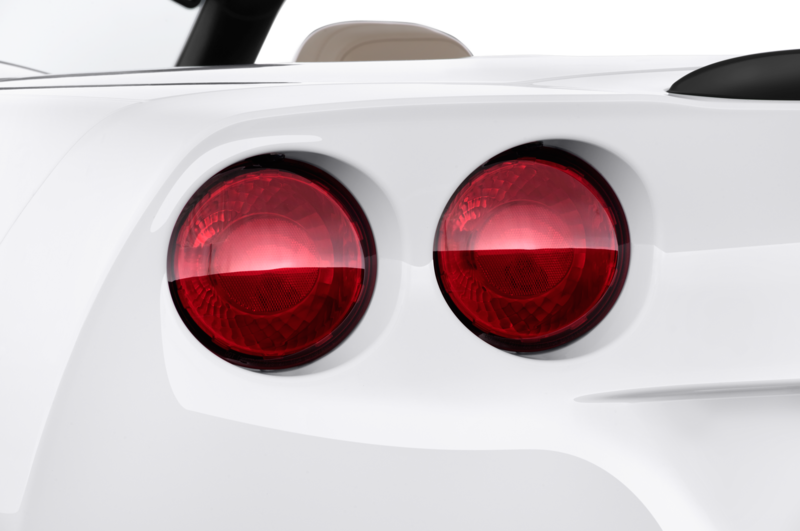 Above 155 mph, the standard hydraulic assembly became loose and imprecise; the electric replacement can dial in more heft. 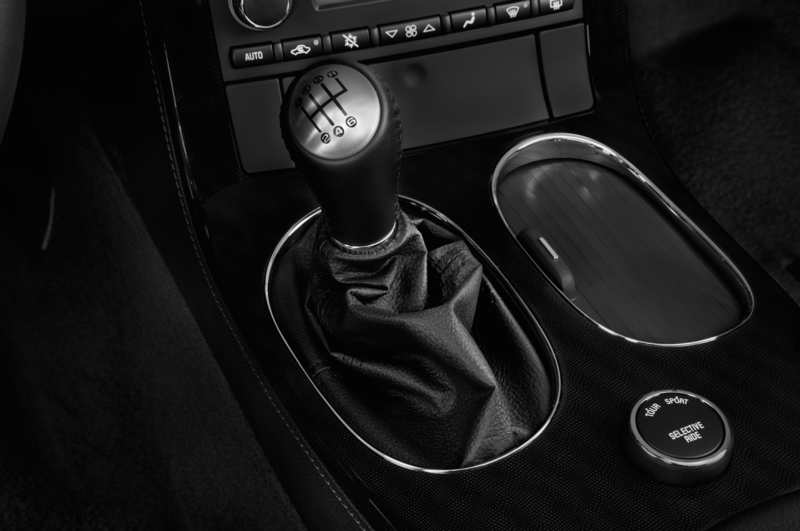 The top level of PTM also adds more damping to the steering to combat the need for constant microadjustments at high speeds. 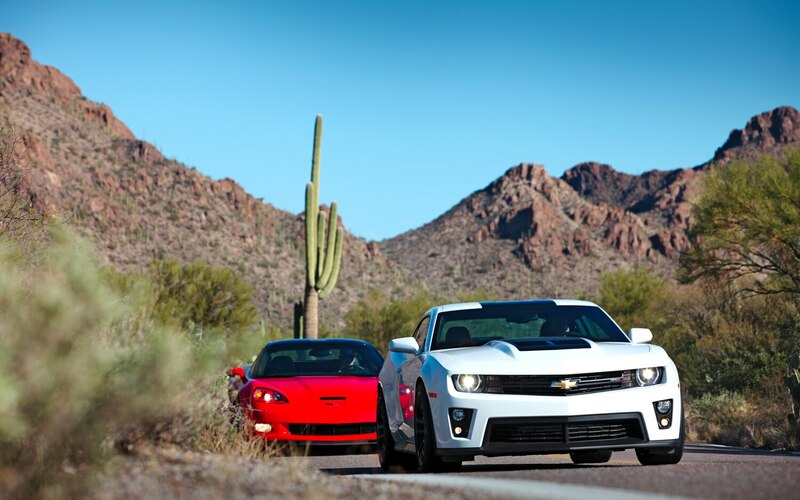 It doesn’t take high speed to recognize that the ZL1 is no ordinary Camaro. 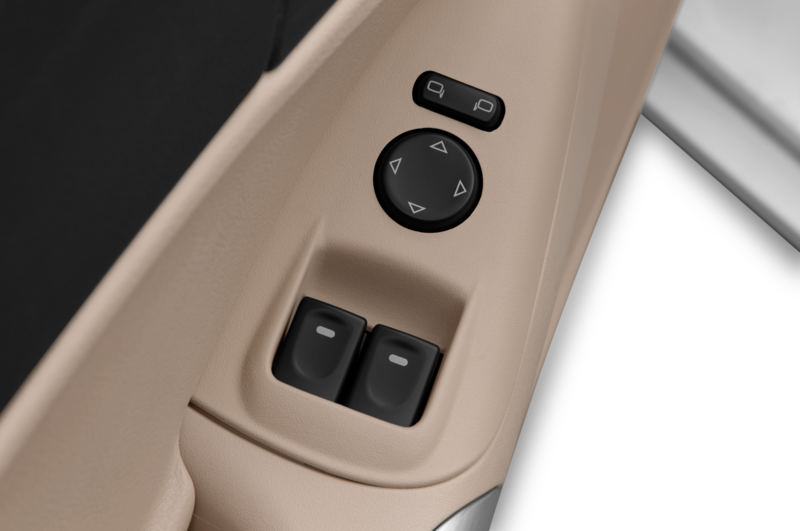 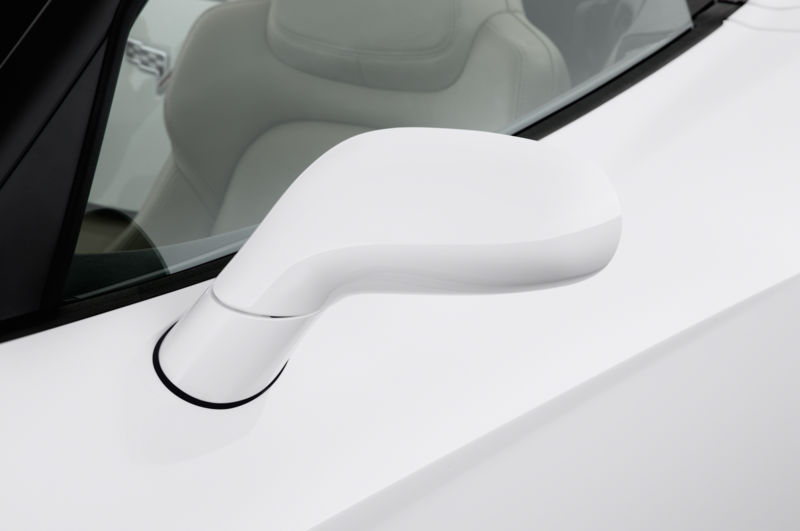 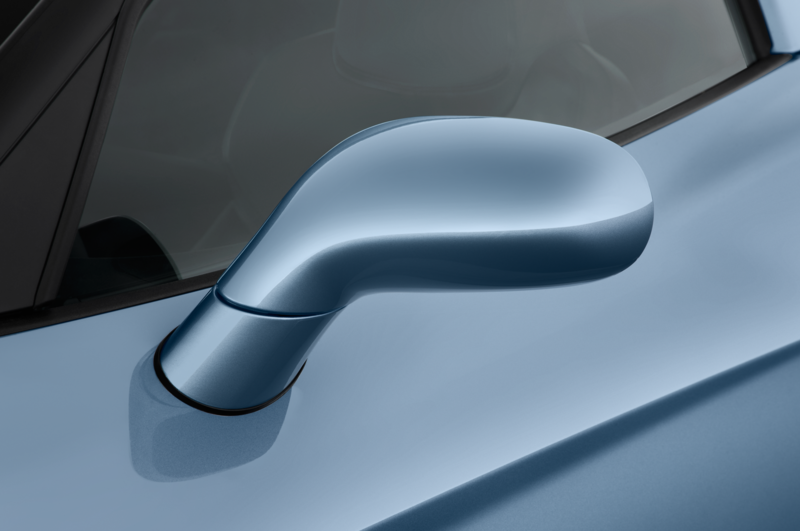 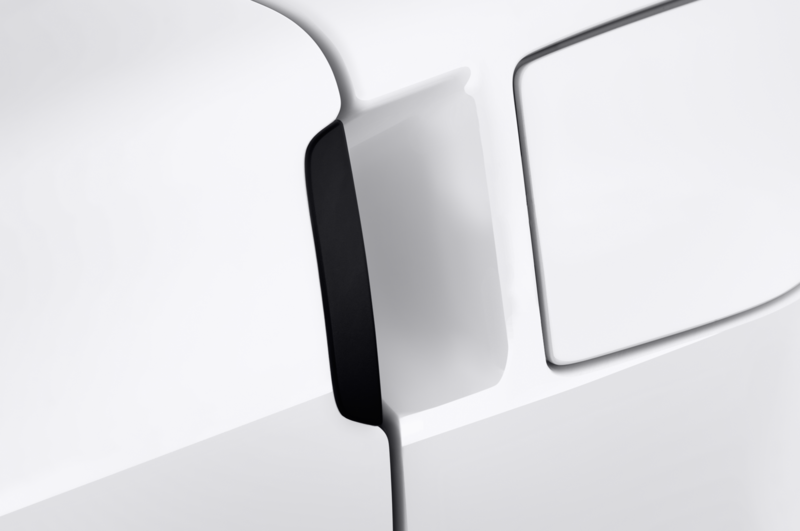 Sit behind the wheel and you’ll notice new attention to detail. 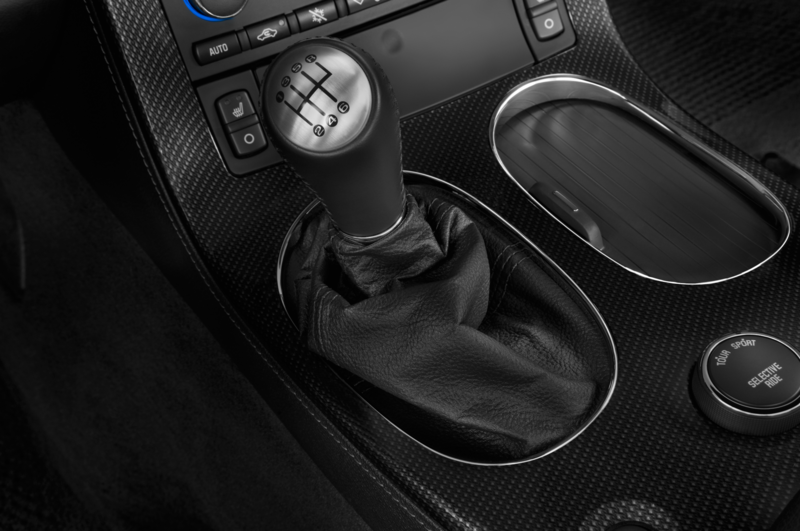 The ridiculous baseball-shaped shift knob has been replaced with a proper, ergonomic piece, and an optional suede package covers the steering wheel, shift boot, and shift knob in the soft, grippy stuff. 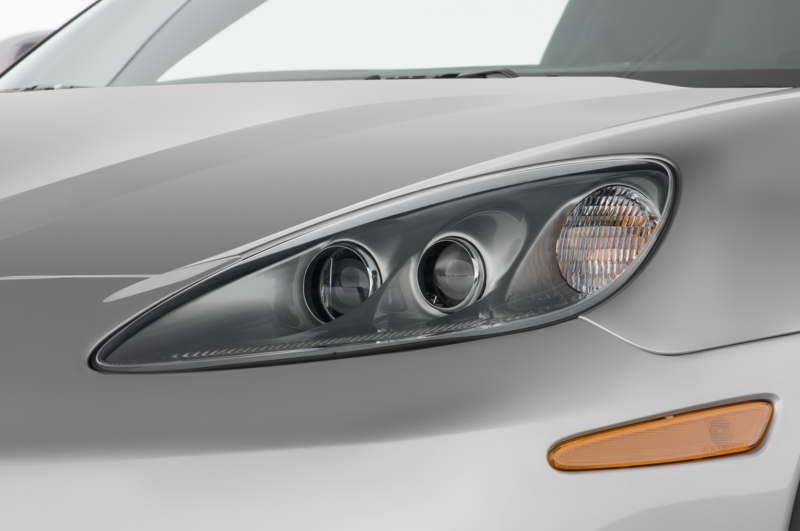 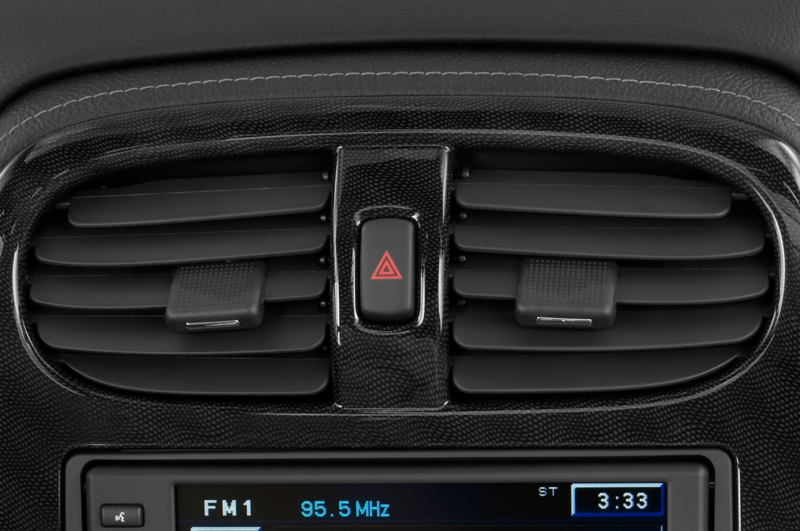 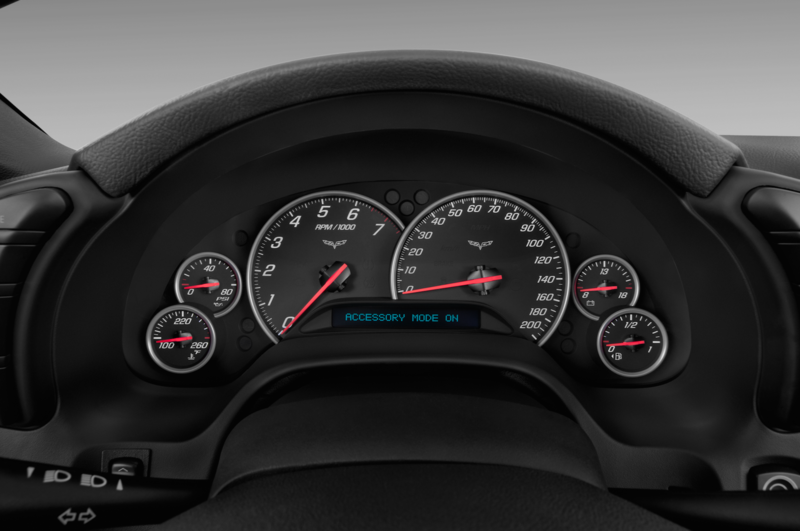 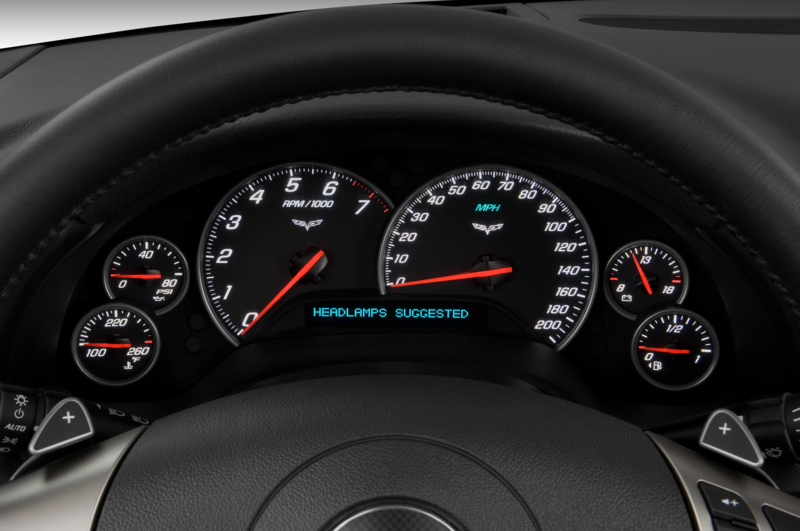 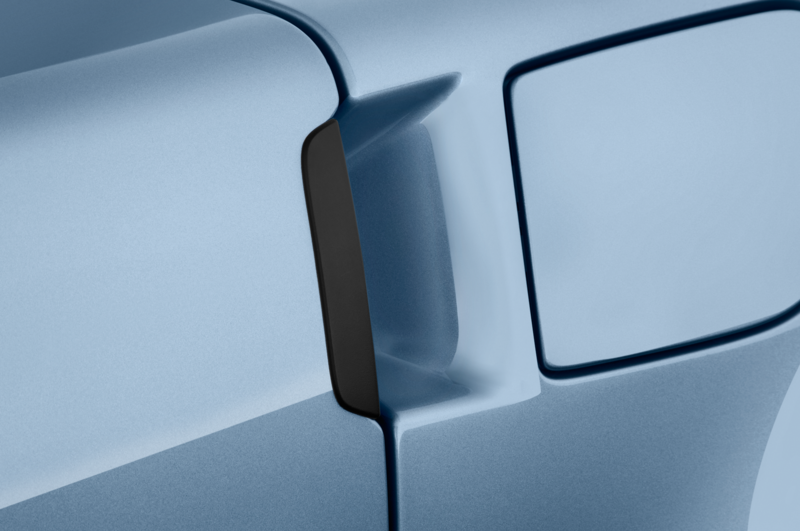 A standard head-up display shows speed, rpm, and shift indicators above the raised black bulge in the hood that hides the blower. 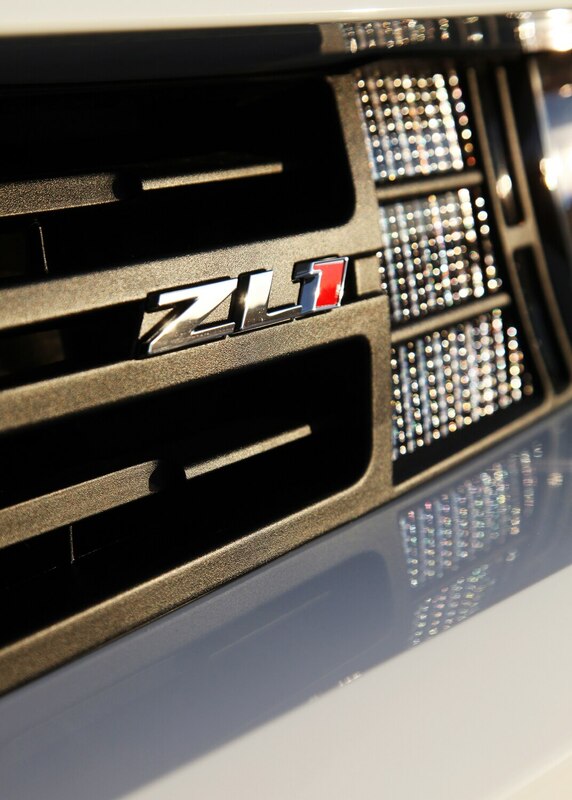 On a 2.75-mile road course at Inde Motorsports Ranch, twenty-one turns make the case for the ZL1. 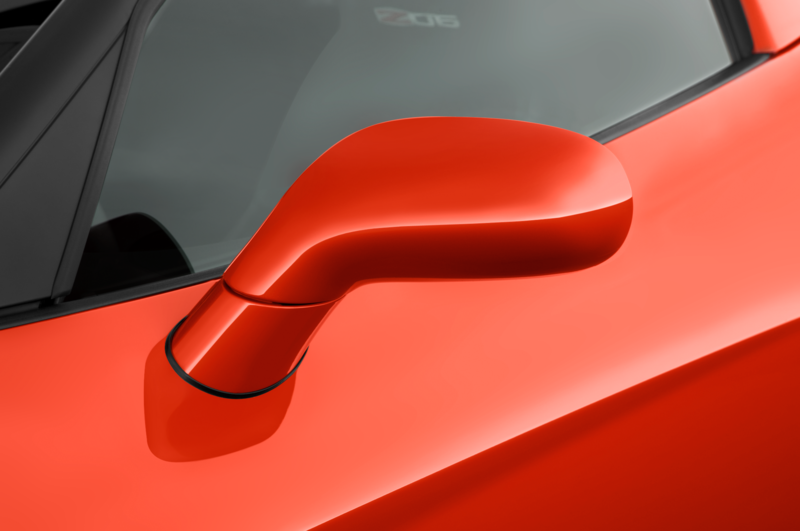 We expected the intoxicating effect of more power and assumed there would be significantly improved body control, but we were skeptical that the ZL1 would revolutionize the way the Camaro handles. 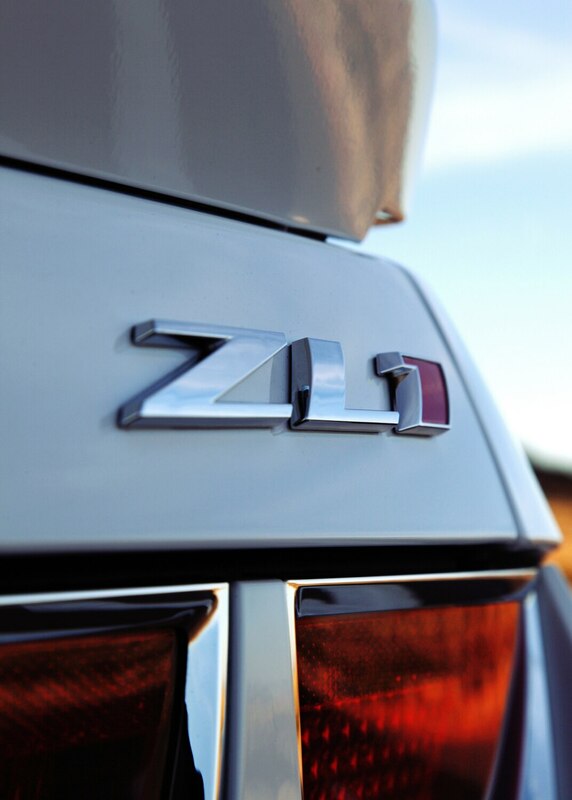 In fact, it does. 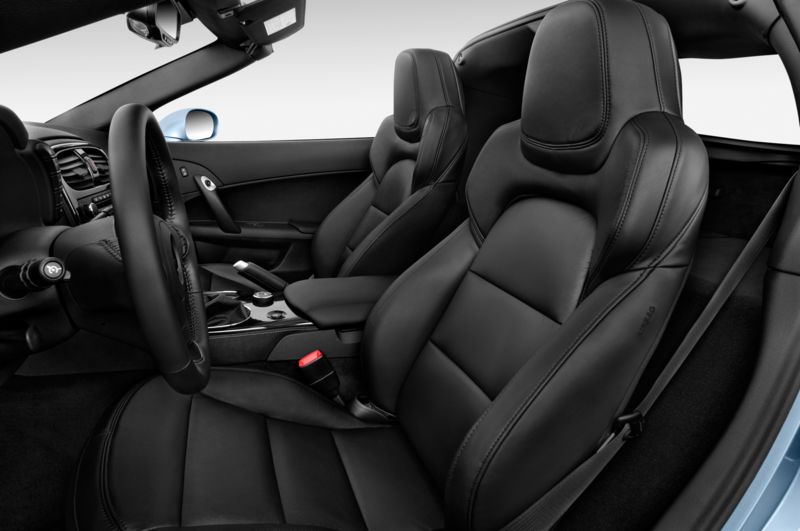 In ZL1 guise, the Camaro is no longer an understeering disappointment, not just because it’s a power-oversteering beast but because the suspension has received the necessary attention. 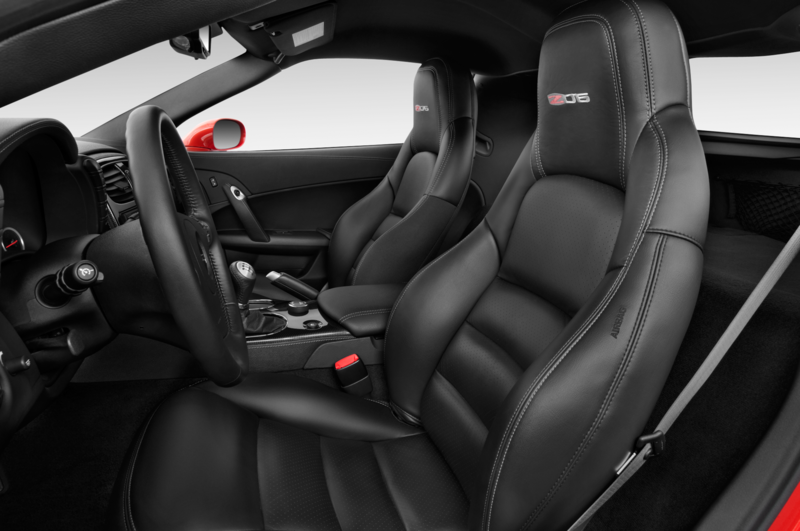 And for Camaro fans without the requisite $54,995 for a ZL1, that character trickles down to SS coupes for 2012 with the standard FE4 suspension, which revises the front and rear dampers and specs new antiroll bars to address the terminal-understeer issue that made the Camaro feel so unwilling when driven hard. 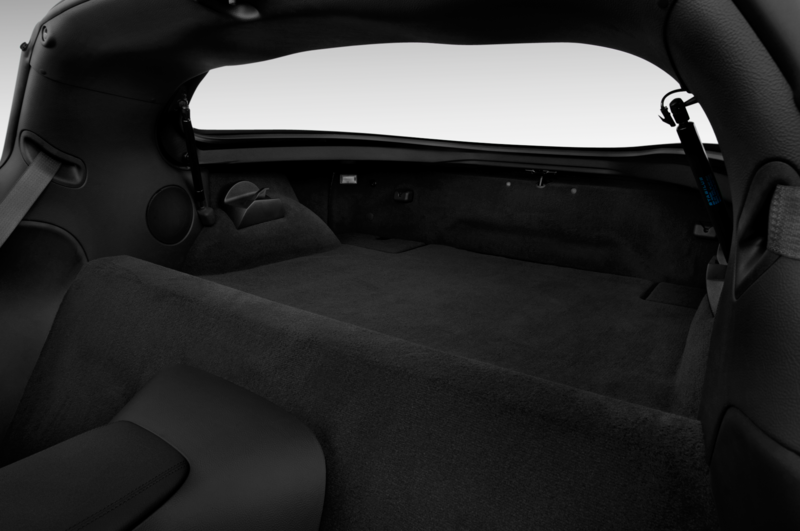 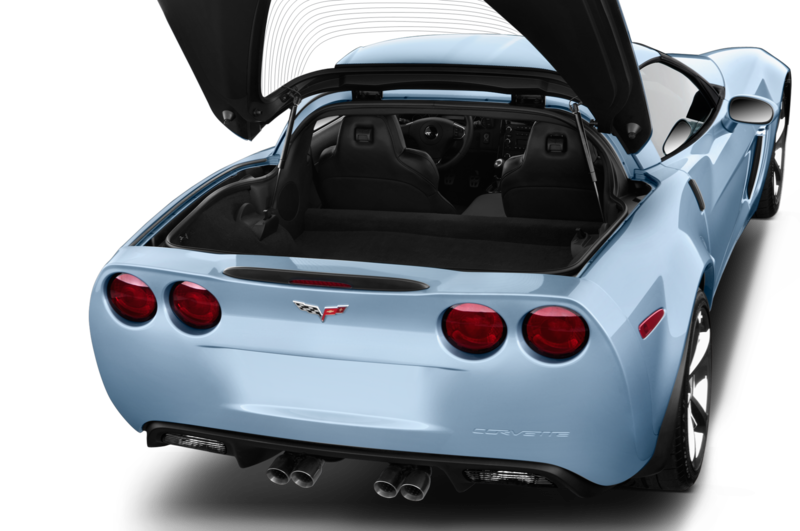 Climb into the Corvette Grand Sport, and the uninterrupted visibility, snug cabin, and a hood that falls away in front of you immediately convey the fact that this car is 700 pounds lighter than the Camaro. 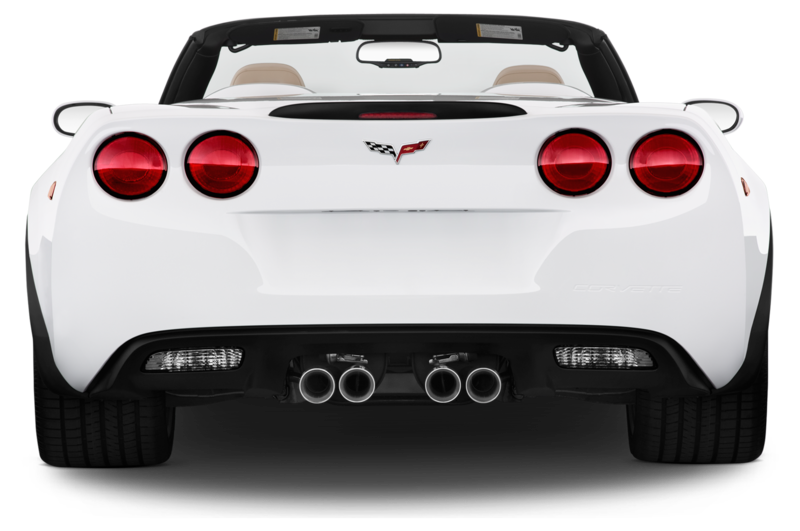 That fact is even more noticeable on the track, as transitions between braking, accelerating, and cornering feel more in tune with the laws of physics. 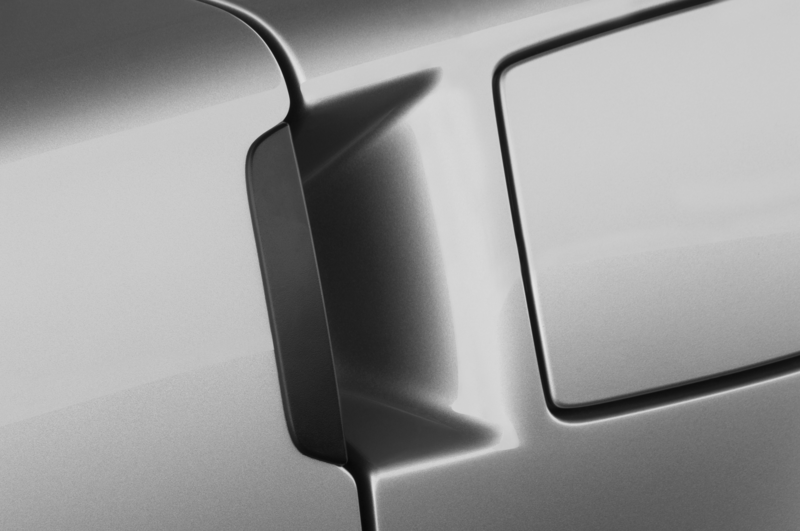 Sudden dips and rises lead to much more significant changes in front- and rear-end grip. 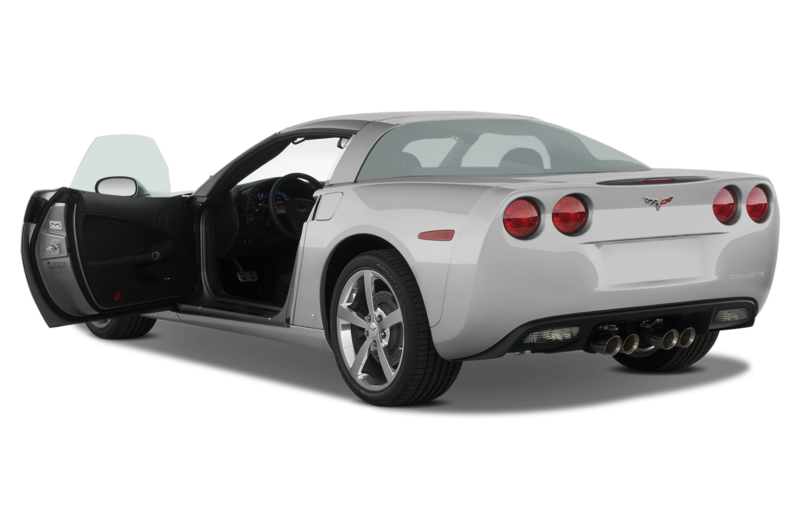 In contrast, the heavyweight Camaro always feels planted, the high-tech suspension holding the wheels to the pavement like it’s reading the rubber its Miranda rights. 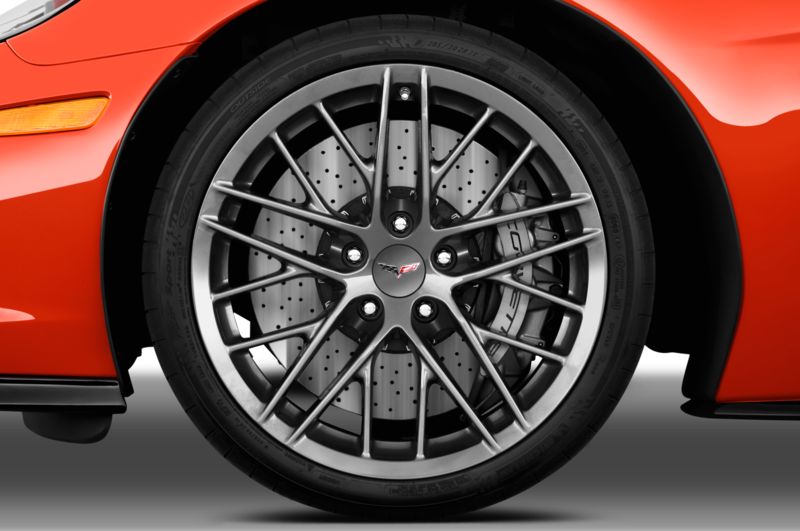 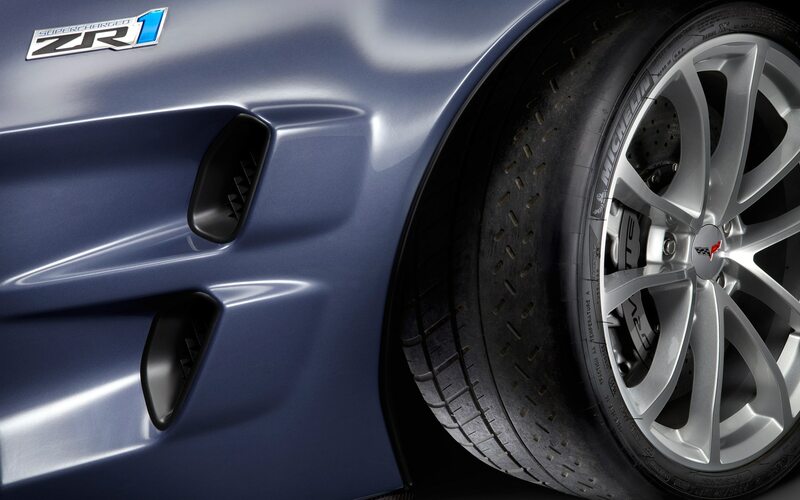 Whether you’re piloting the ZL1 or the Grand Sport, generous amounts of predictable grip come by way of Goodyear Eagle F1 Supercar G:2 tires. 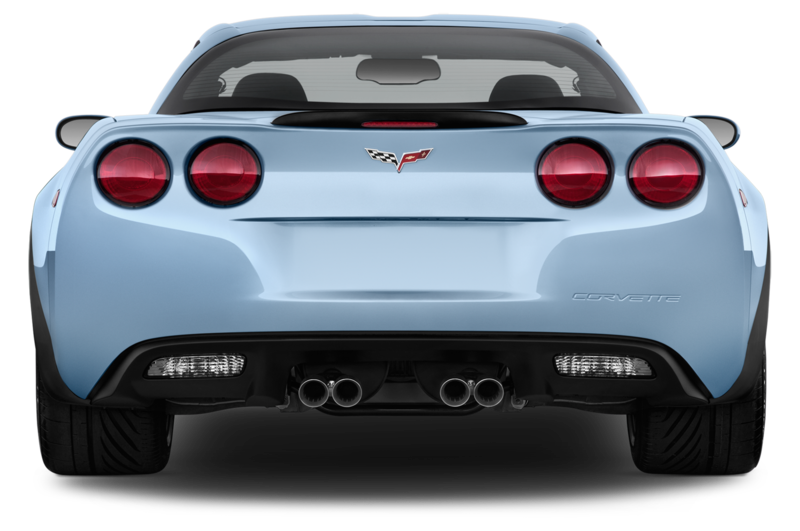 Oversteer is available for order in either car, although the ZL1, with narrower tires at the rear and big torque on tap, is a bit more agreeable to sliding its rear end around at will. 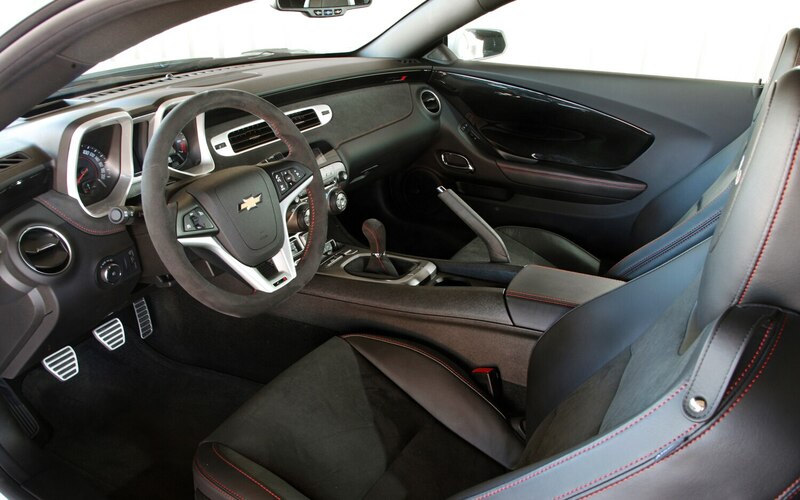 The fast, balanced steering of the ZL1 is much more confidence-inspiring than the Camaro SS’s hydraulic power steering. 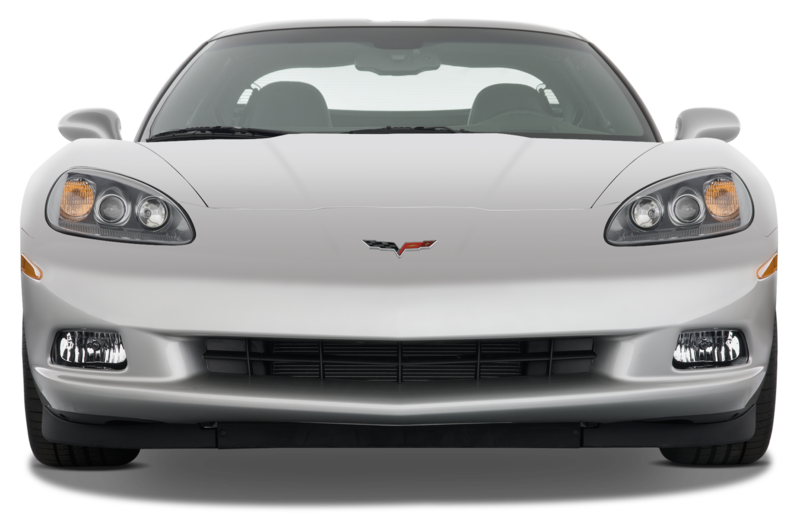 The effort, the damping, and the return are tuned for a perfectly natural weight, but the electric rack does filter out most of the front-end feel. 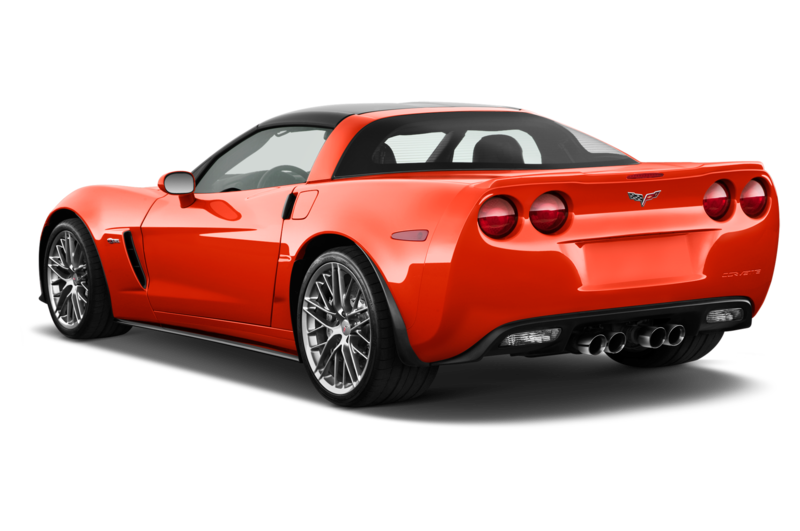 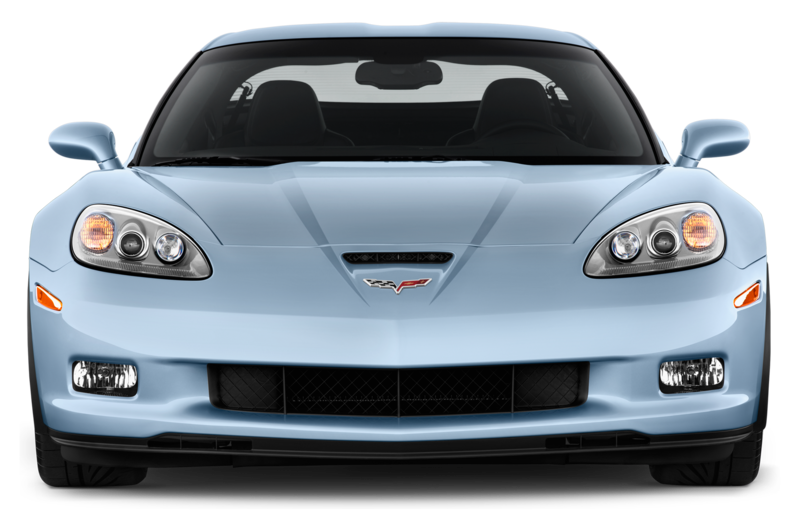 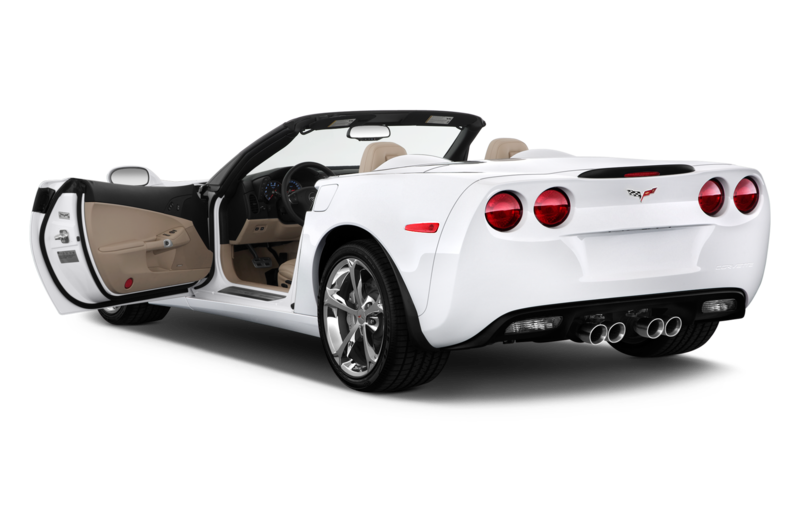 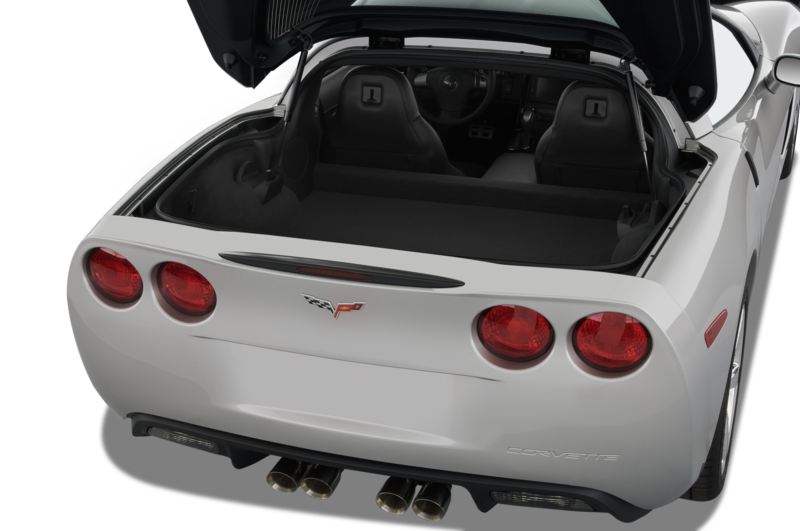 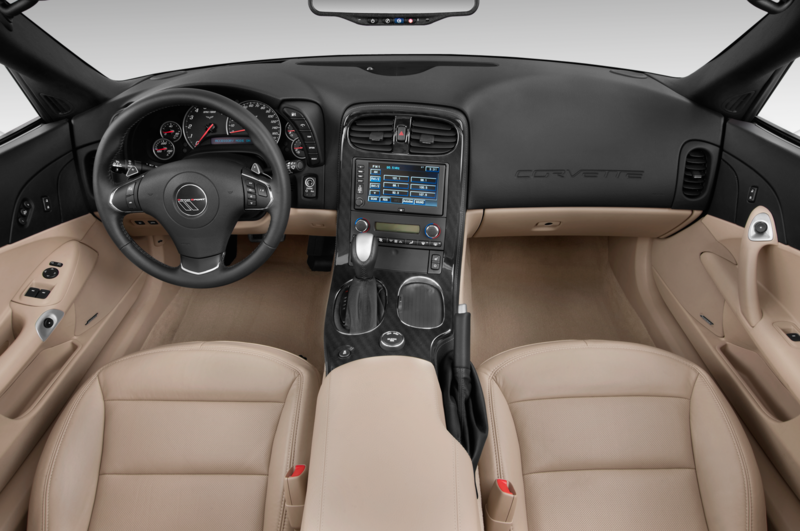 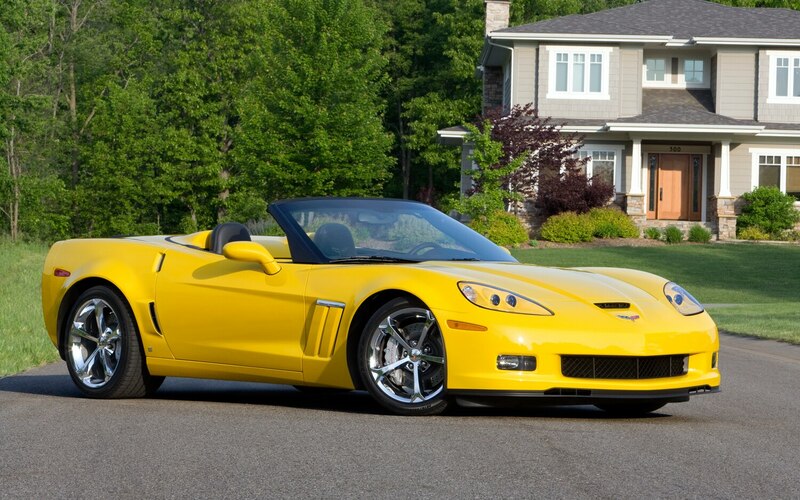 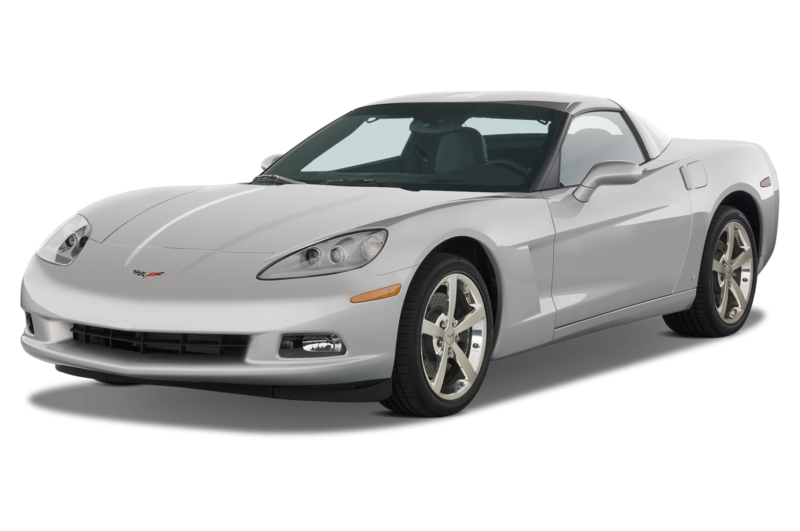 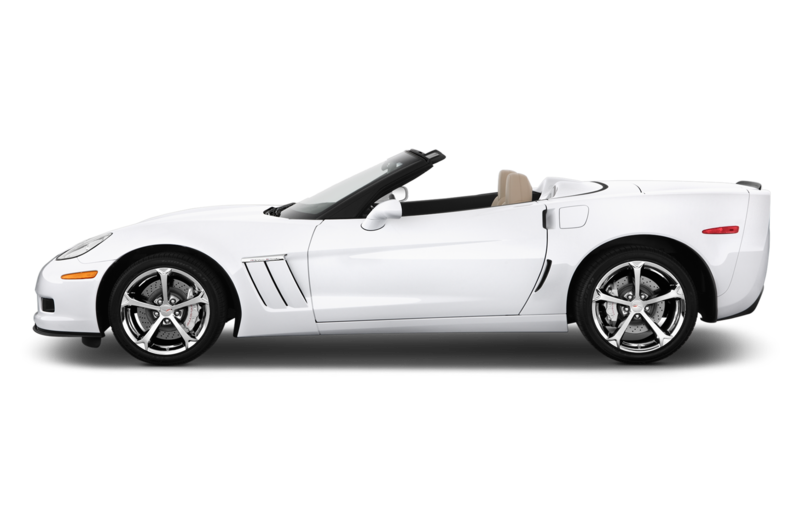 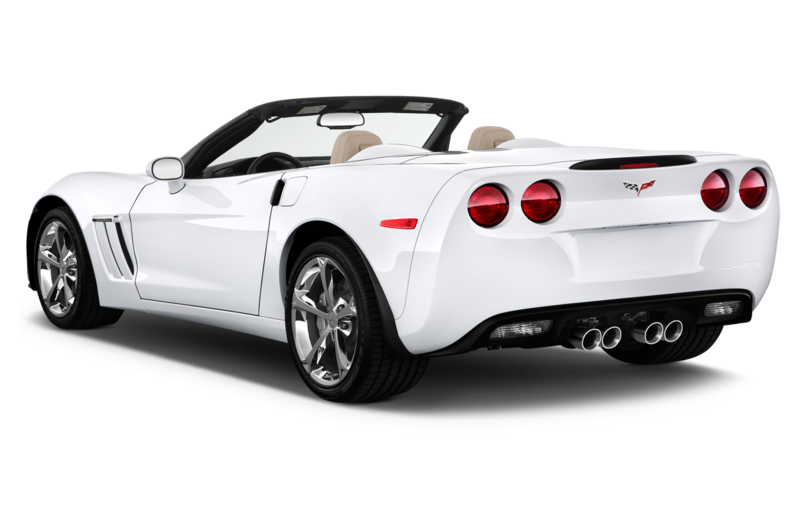 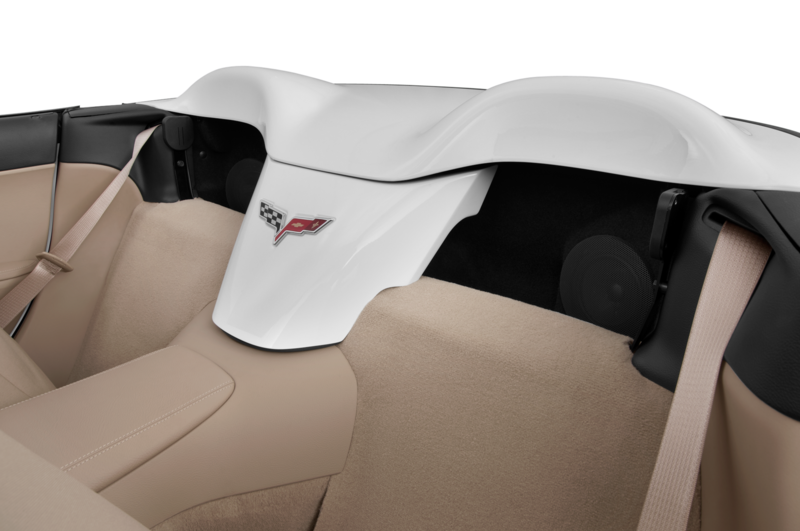 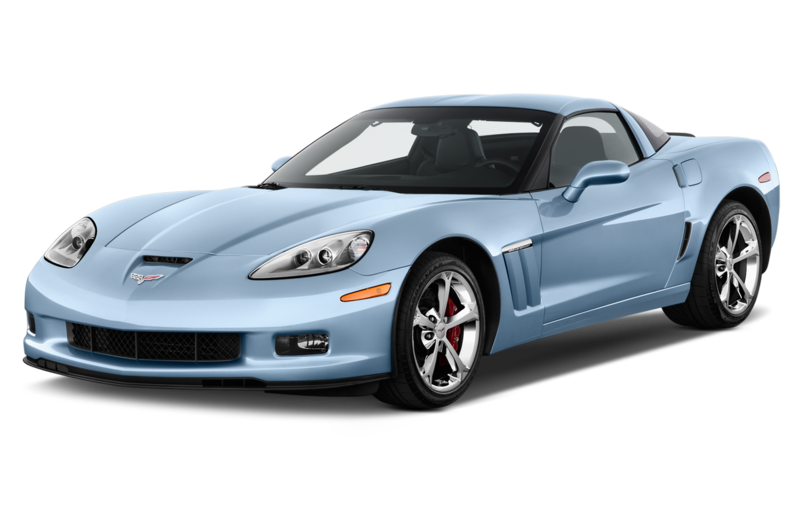 That’s even more true when compared with the Corvette, which boasts an equally quick rack with a robust hydraulic assist. 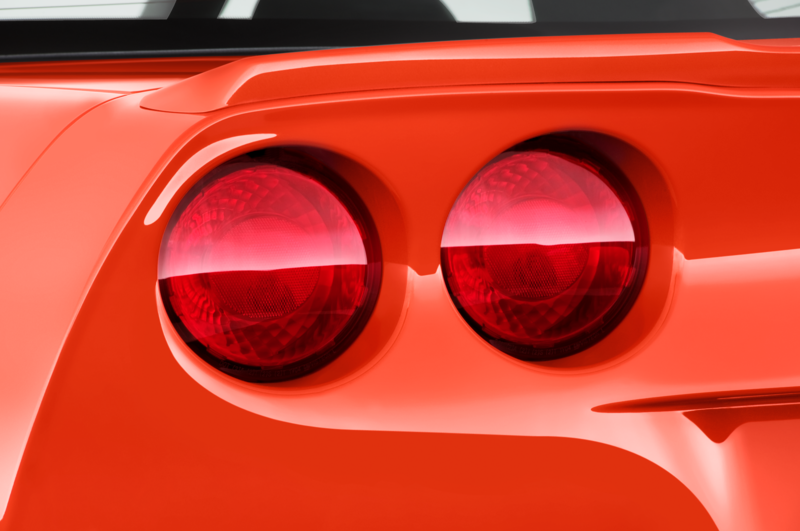 While both cars deliver satisfying shifts, the Camaro’s shorter, snappier throws are more inviting than the Corvette’s longer shifts. 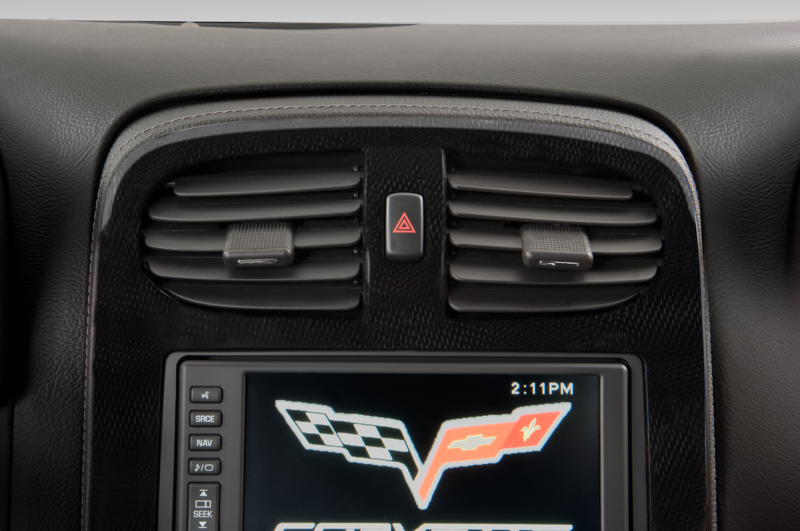 We spent a few laps on the track in an automatic-equipped ZL1 to explore the Performance Logic Algorithm, which considers steering angle, vehicle speed, throttle position, and lateral acceleration so that the transmission doesn’t downshift when you’ve devoted all available traction to cornering. 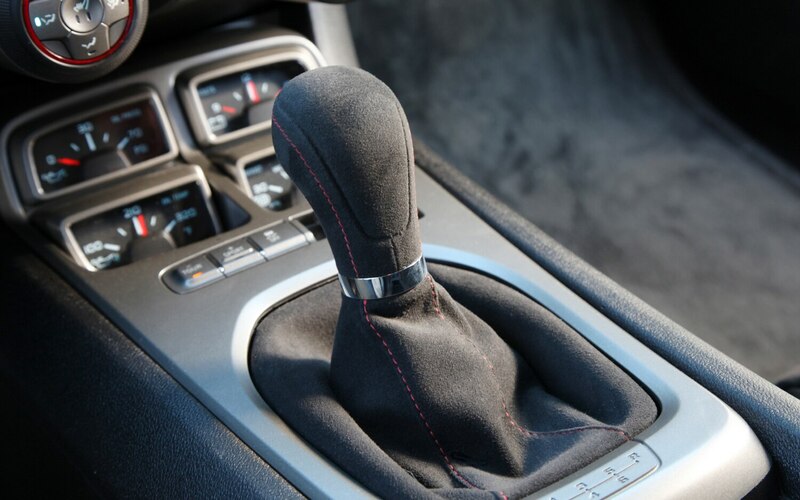 While it lives up to its claims, the transmission has an affinity for abrupt downshifts when cornering below the adhesion limit. 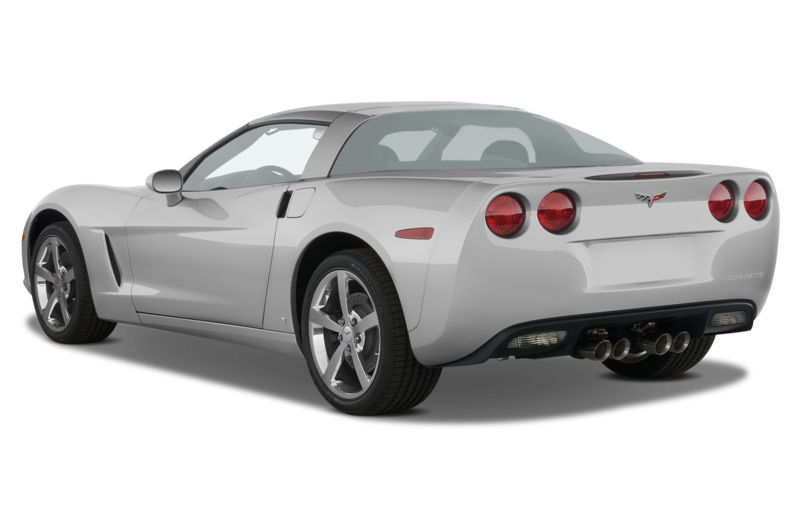 Those gearchanges won’t unsettle the car, but they are neither as smooth nor as well-timed as Chevy believes them to be. 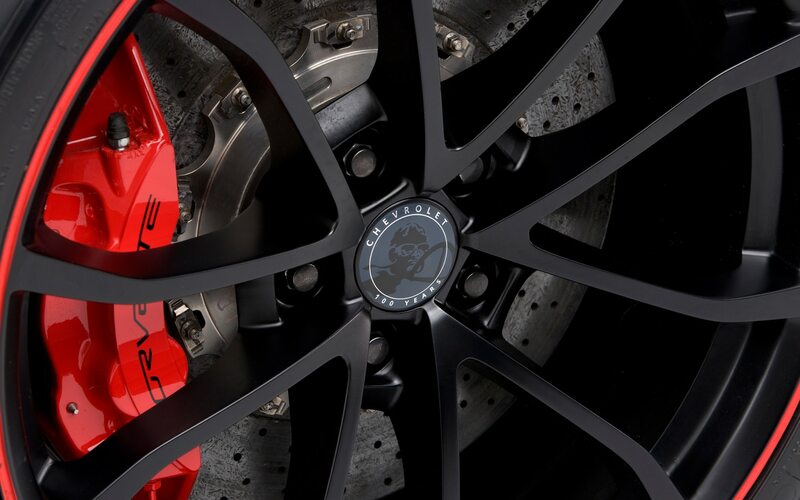 That’s a minor gripe, since any sane person would lap a track using the wheel-mounted paddles with deferential programming that will hold a gear against redline. 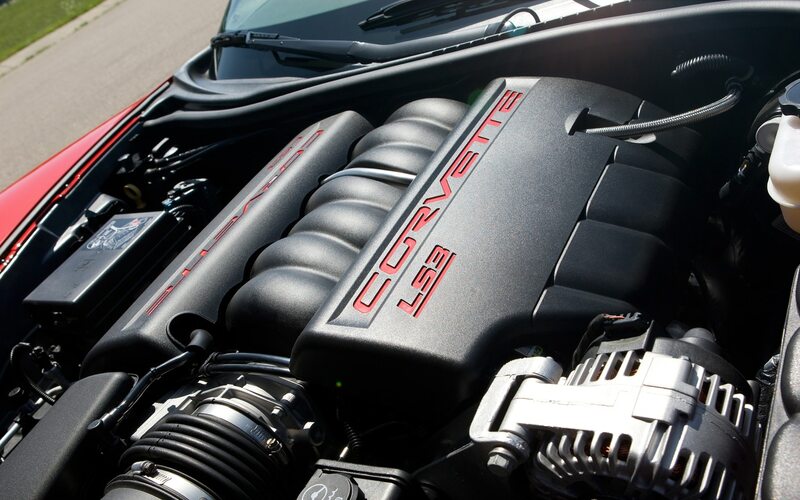 The ZL1’s most significant advantage over the Corvette is its engine. 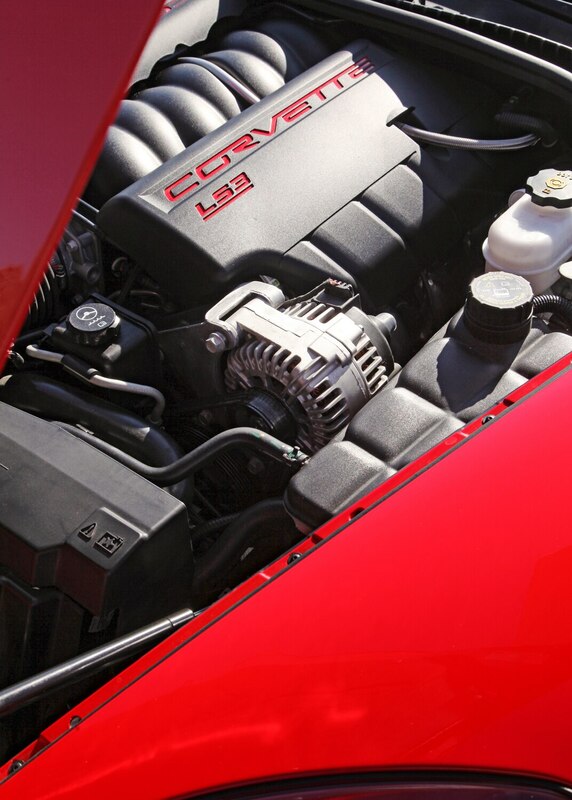 Beyond the 144-hp difference, the blown V-8 is massively flexible and brilliant at any rpm. 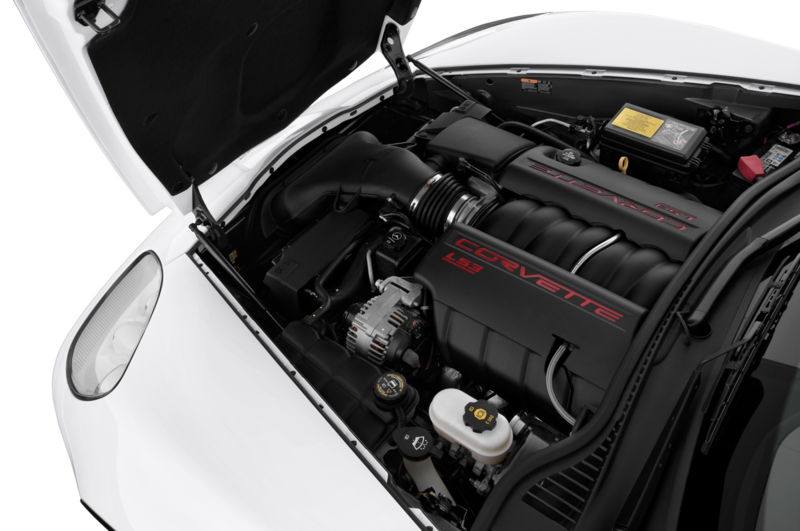 It spins smoothly to the top end, pulls from low rpm, and surges to ridiculous speeds during mid-range bursts. 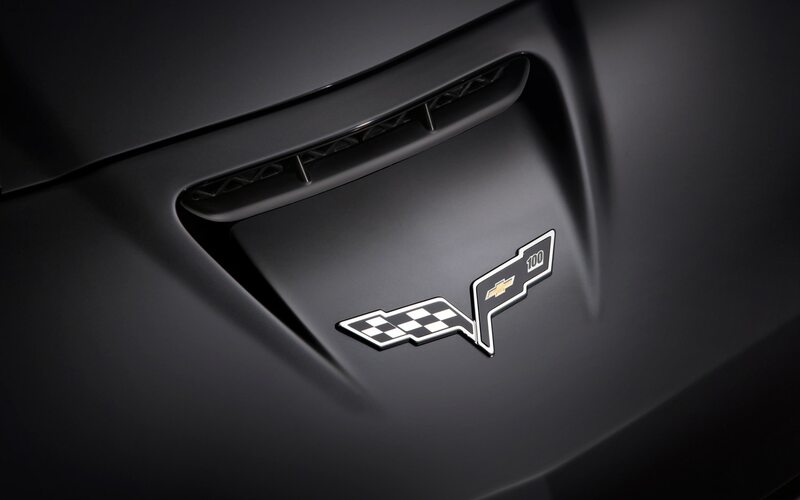 Despite claims that engineers weren’t particularly concerned about refinement, the Camaro-tuned engine is just as well-behaved as the 556-hp variant in the Cadillac. 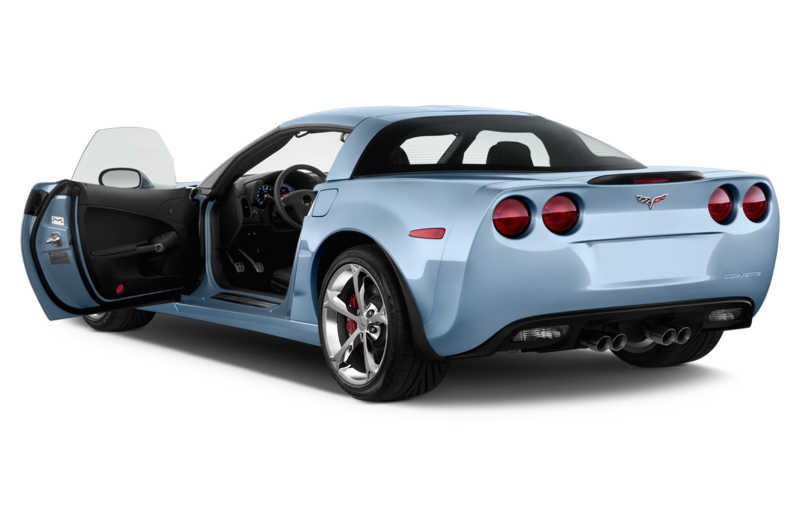 In contrast, the torquey, normally aspirated 6.2-liter of the Grand Sport is content to loaf at the low end or charge toward redline, but at part throttle between 2500 and 4000 rpm it huffs like a mouth-breather having just climbed the stairs to the thirty-seventh floor of GM’s headquarters. 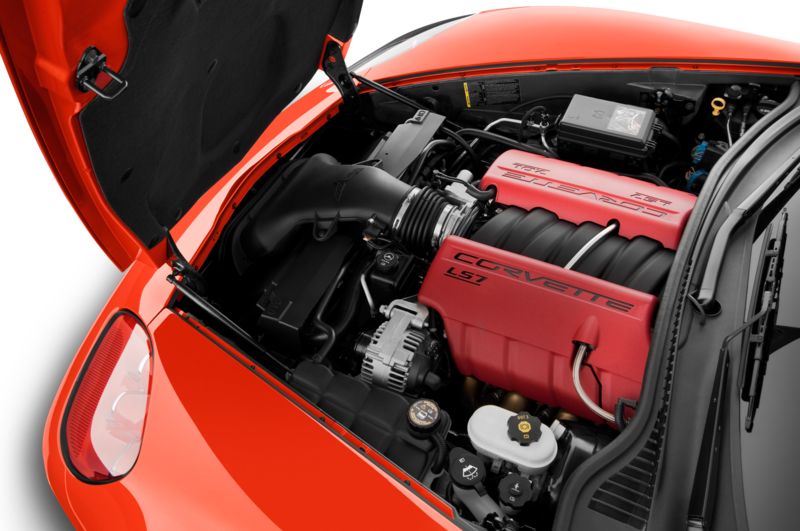 No one will question its performance, but the Corvette’s LS3 engine doesn’t have the polish of the LSA despite the close architectural similarities. 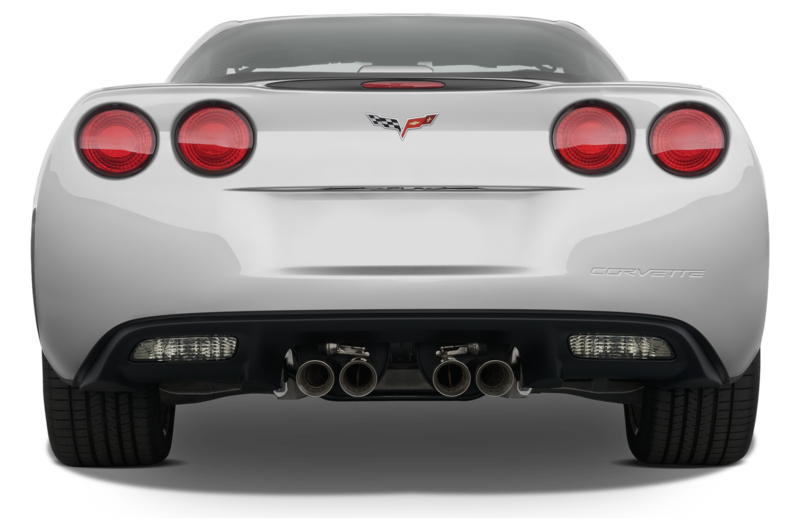 A dual-mode exhaust that is an $1195 option on the Grand Sport comes standard on the ZL1. 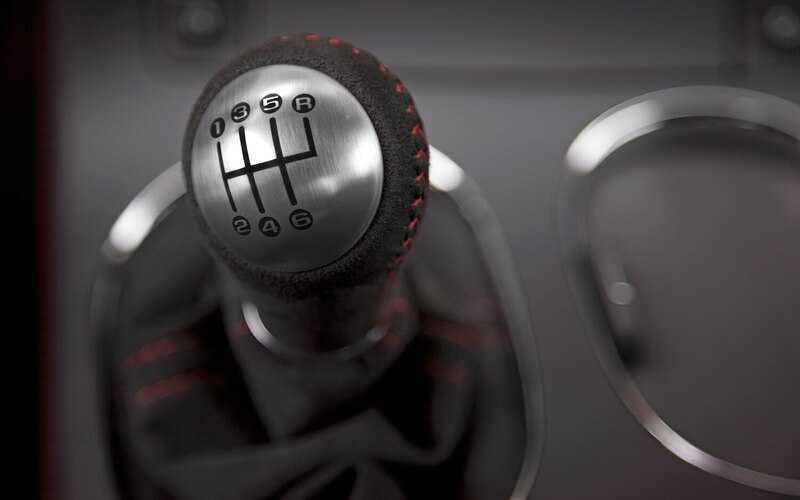 The key difference, though, is much deeper, in the small-block burble sense of the word. 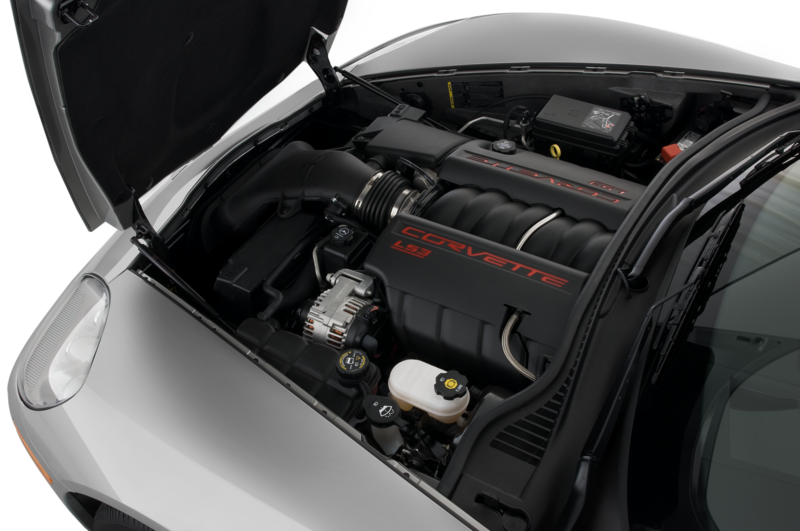 The Corvette’s vacuum-controlled bypass valves open at start-up and under hard acceleration; the Camaro ZL1’s bypass valves follow a similar logic but are always open at idle. 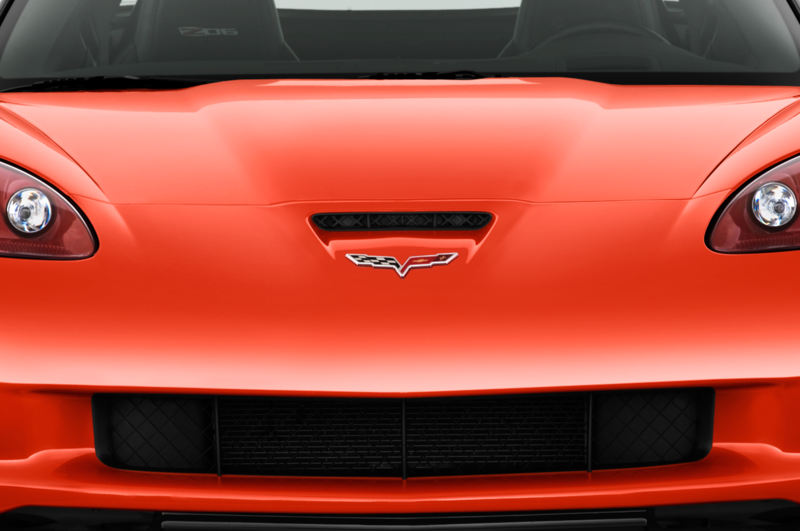 The difference makes the butch Camaro that much more intimidating at red lights. 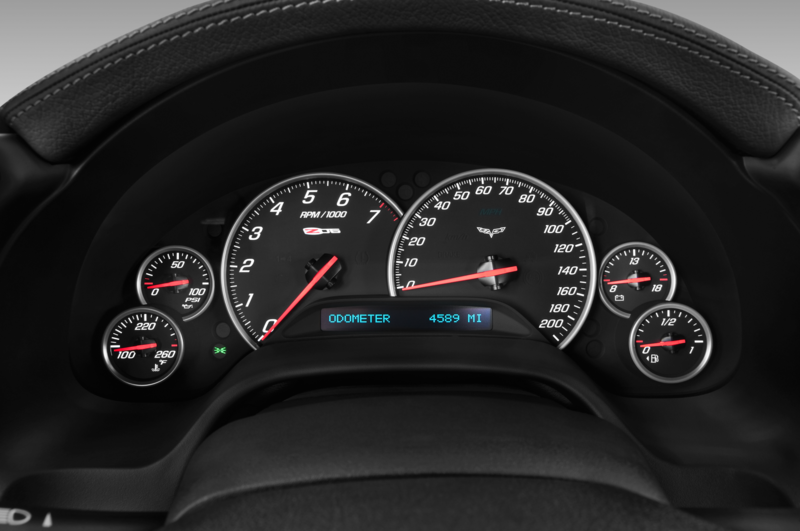 Our instrumented testing measured nearly identical 0-to-60-mph times of 4.3 seconds (we don’t remove one-foot rollout from our times), with the Corvette posting a quicker time by just hundredths of a second. 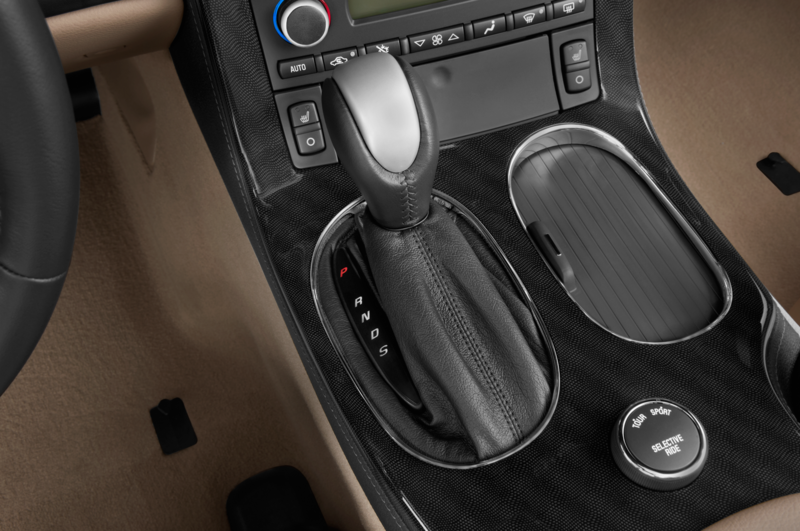 PTM (which isn’t available on the Grand Sport) includes launch-control programs for both street and prepped surfaces for drag-strip antics. 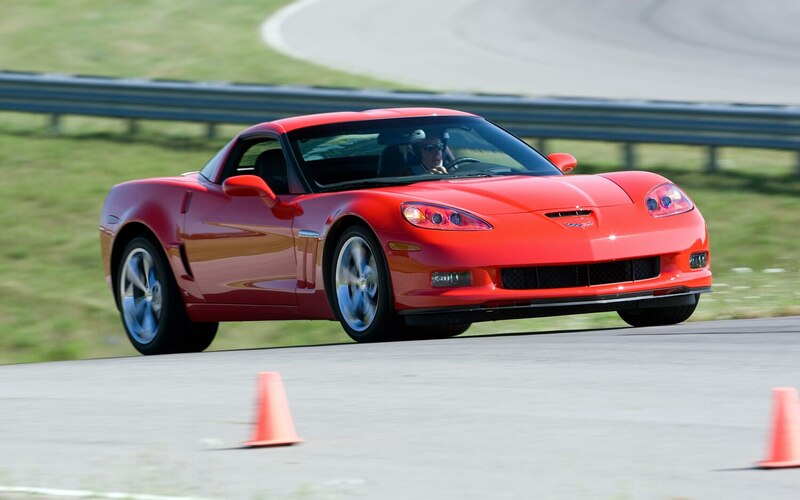 It’s impressively consistent and plenty quick, but a pair of carefully managed feet can still beat it to 60 mph by more than three-tenths of a second. 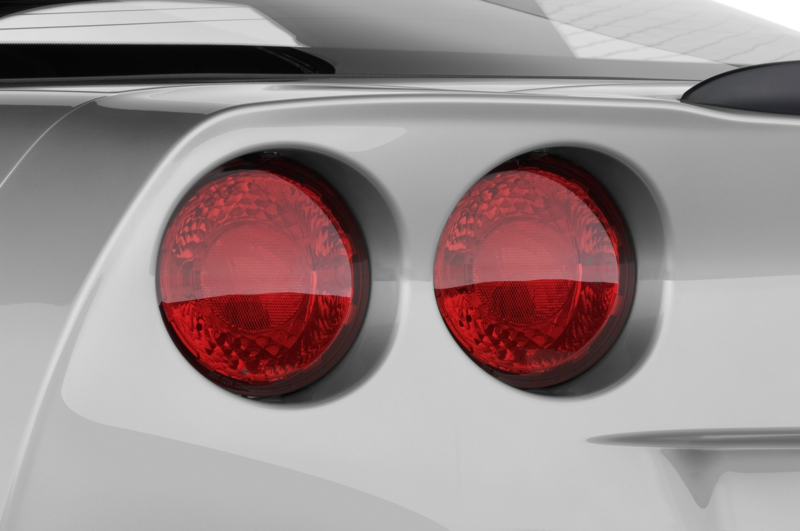 The Corvette stopped eight feet shorter and improved on the Camaro’s lateral grip by 0.02 g. Even the price differential is negligible, with the Grand Sport coupe starting at $56,900, just $1905 more than the ZL1 (although the Corvette’s price quickly swells with options). 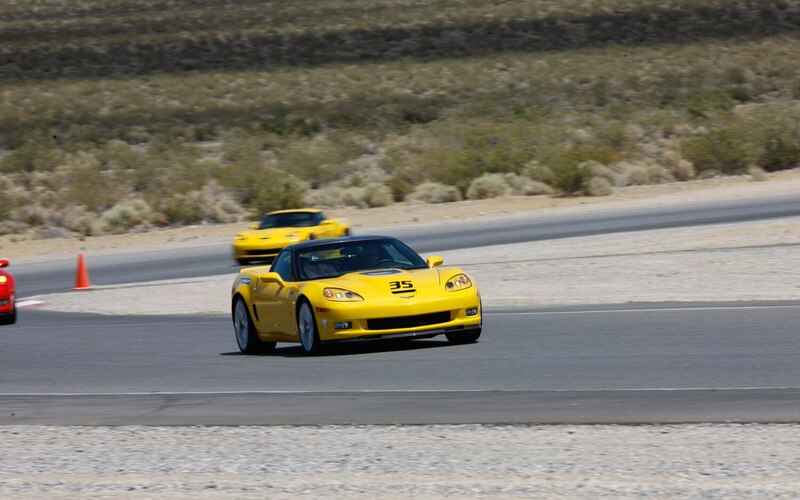 These cars are two different answers to the same question; they offer similar braking, acceleration, and lateral-grip performance figures and yet feel nothing like each other. 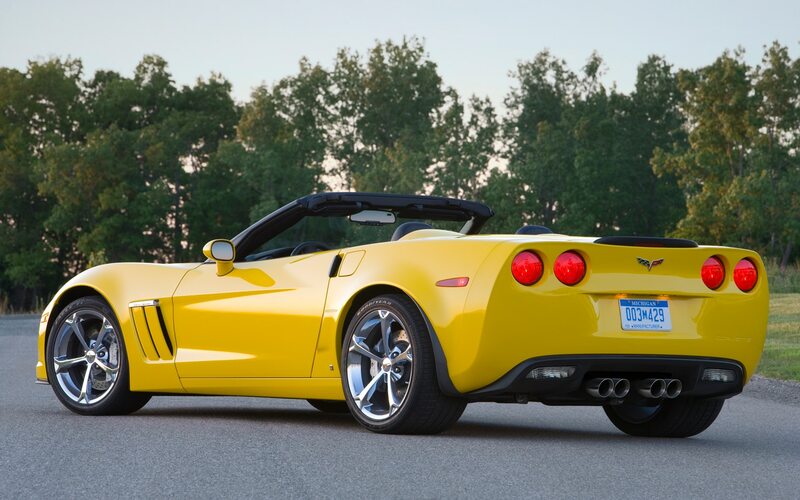 Picking a winner is a matter of taste and expectations. 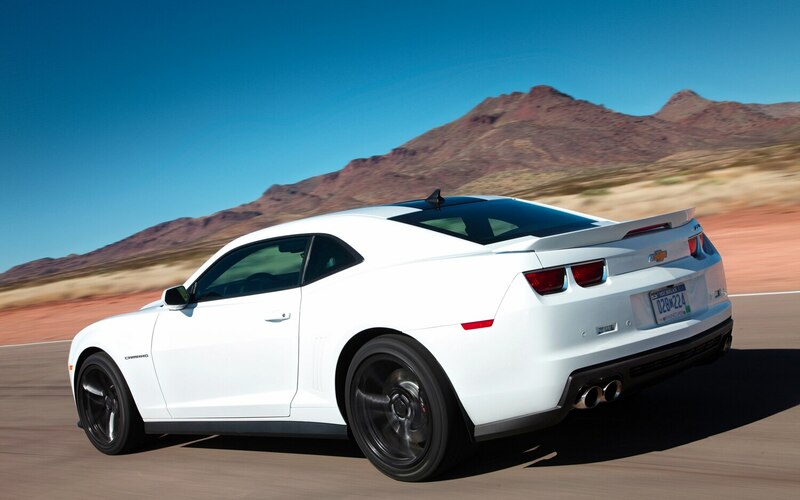 The most powerful Camaro ever is the most rewarding Camaro ever, backed by a sophisticated suite of technologies. 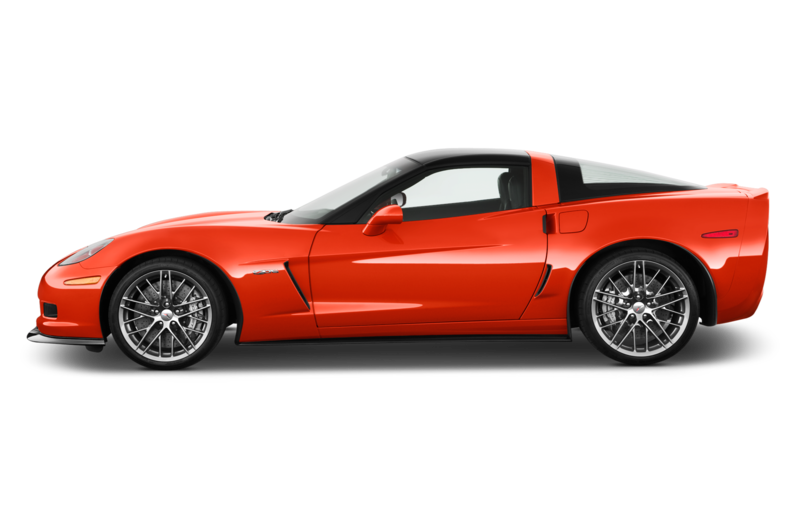 It is a modern interpretation of the sports car, capable of serving as a daily driver while itching for track days and drag-strip runs. 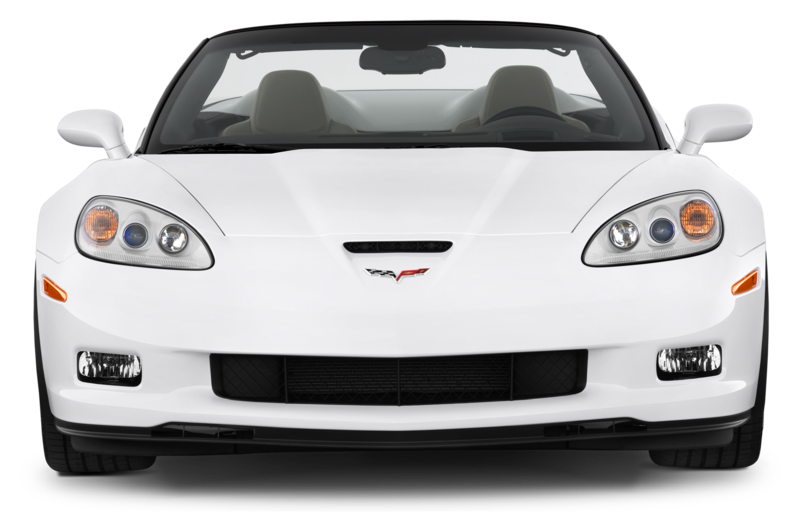 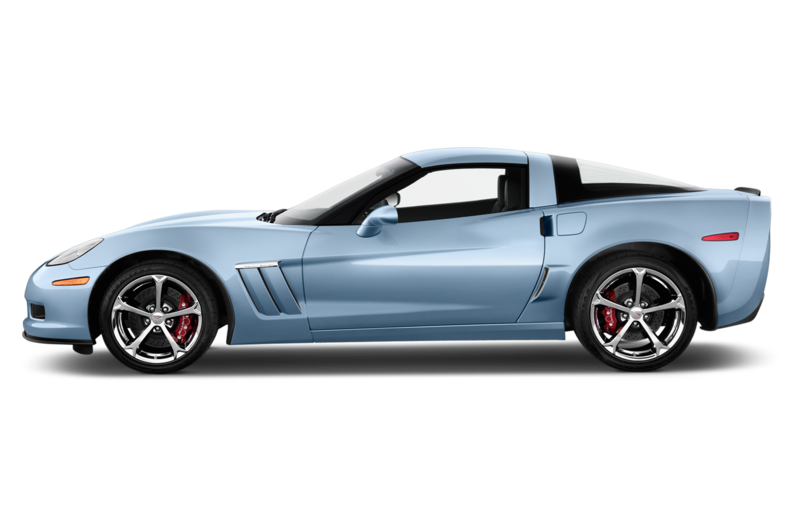 The modern Corvette is an honest sports car, so uncompromised that it’s a specialized machine best exercised on a twisty back road or a challenging road course. 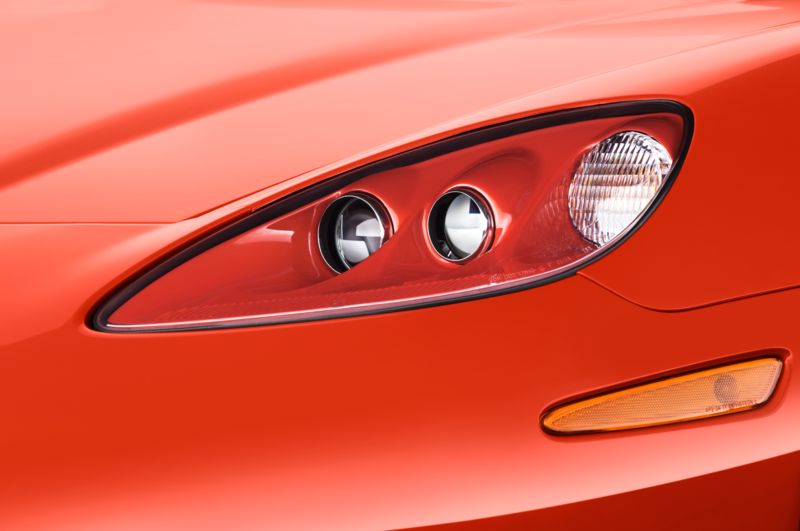 The tech-laden brute and the sports-car classic both have a case to make, but this is an argument that has no end. 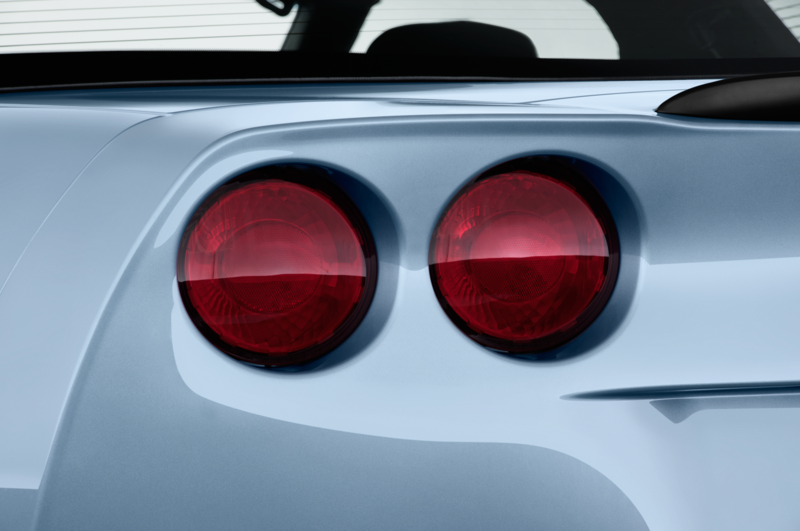 That shouldn’t come as a surprise: sibling rivalries are never settled. 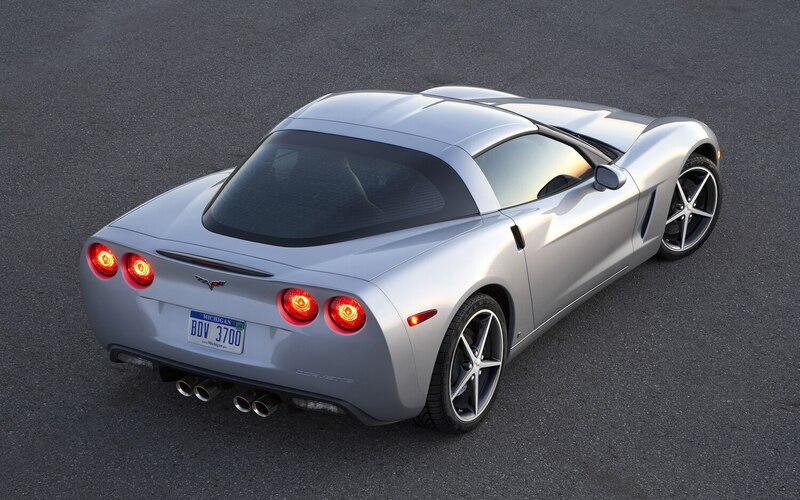 If you’re waiting for the new Chevrolet Corvette, you’re still going to have to wait a while, but General Motors delivered its biggest hint to date this week when it suspended public tours of its Bowling Green, Kentucky plant responsible for making the Corvette sports car. 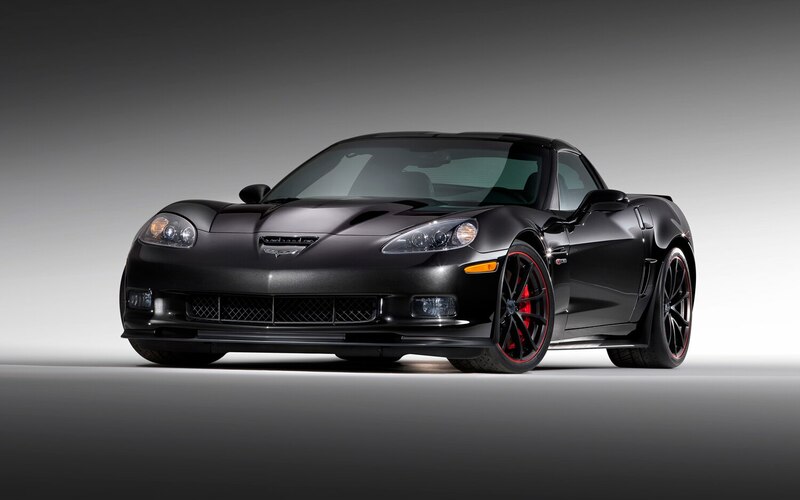 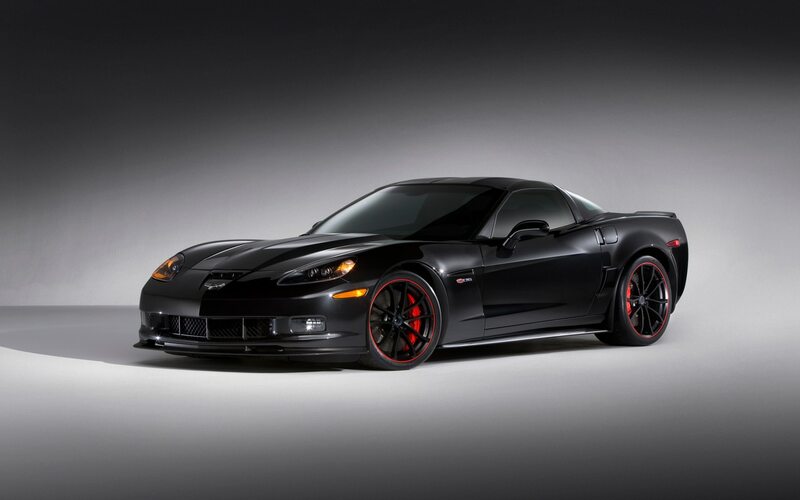 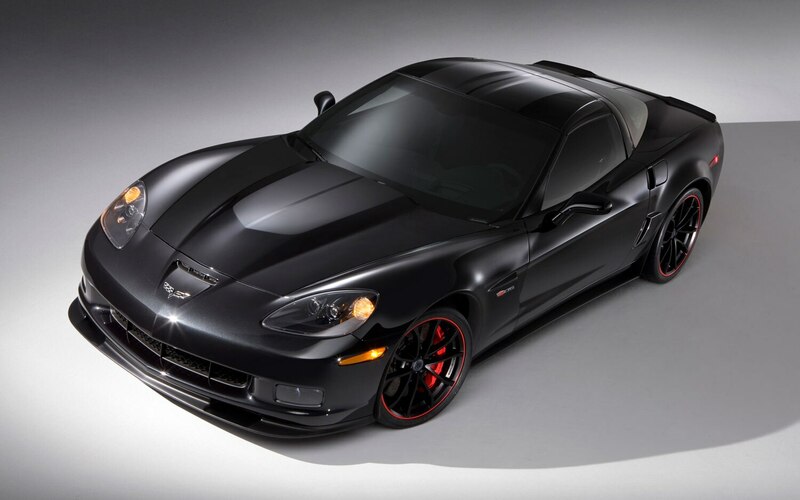 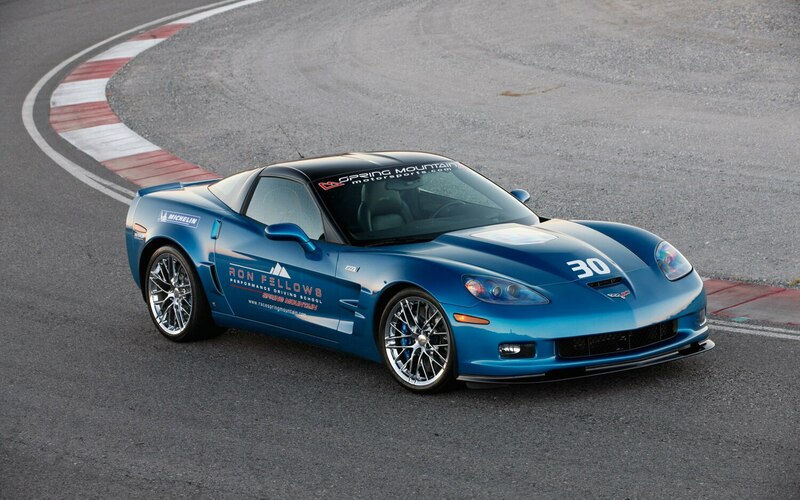 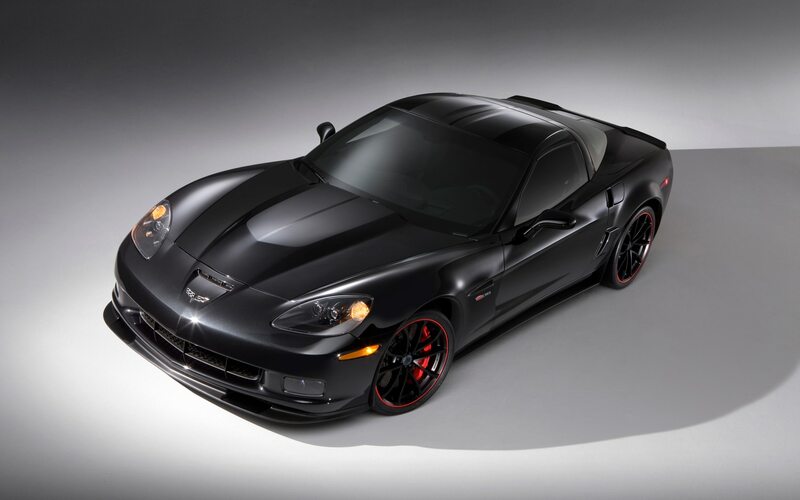 The 2013 Chevrolet Corvette ZR1 will pace the 96th running of the Indianapolis 500 later this month, making it the 11th time a Corvette and 23rd time a Chevrolet have paced the Greatest Spectacle in Racing — Indy records for a nameplate and an automaker. 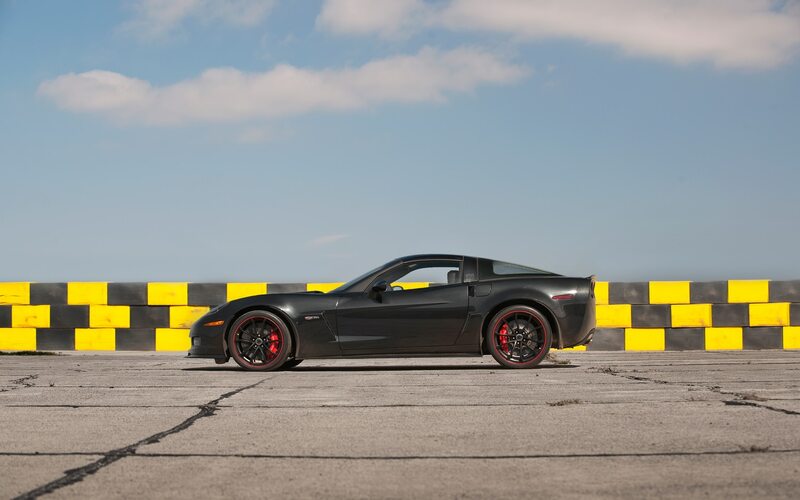 DragTimes, a Russian-based outfit, has released a cluster of new videos that includes tuned versions of the mighty Chevrolet Corvette ZR1, Nissan GT-R, and a Lamborghini Gallardo with a reported 1500-hp going head-to-head in quarter mile and mile-long drag races.